EC Treaty [The Treaty establishing the European Community (as amended by the Treaty of Amsterdam)] C 325/35, 12/24/02 EC Treaty promotes competitive market economy and prevents barriers to integration of the single European market Article 3 (g): No competition distortion Article 81 (1 & 2): Anti-competitive agreements prevention Article 81 (3): Exceptions for promotion of technical and economic progress—allowing consumers a fair price (EU–“sui generis” Rule of Reason) Article 82: Abuse of dominant position w/i the common market prevention, insofar as the abuse may affect inter-member trade Article 86 et seq: Allow for State Aid to sport clubs via socio-cultural approach The competition rules in the EC Treaty aim at promoting a competitive market economy and preventing barriers to integration of the single European market. Article 3 (g) ensures a system that does not distort competition. Article 81 (1) creates and sustains that system: “The following will be prohibited as incompatible with the Common Market: All agreements between undertakings, decisions by associations of undertakings, and concerted practices which may affect trade between member states, and which have as their object or effect the prevention, restriction, or distortion of competition within the Common Market…” Hence, the EC treaty provides for no cartel agreements leading to anti-competitive effects. Article 81 (2) renders all agreements or decisions under (1) void. Article 81 (3) provides “exceptions for practices which contribute to improving the production or distribution of goods or promoting technical or economic progress while allowing consumers at a fair price access to the resulting benefit and which (a) do not impose restrictions on the undertakings indispensable to the attainment of the objectives; (b) do not afford such undertakings the possibility of eliminating competition in respect of a substantial part of the products in question”. In this way the EU assumes a “sui generis” community rule-of-reason (Halgreen, 2004). Article 82 declares: “Any abuse of one or more undertakings of a dominant position within the common market or in substantial part of it shall be prohibited as incompatible with the Common Market in so far as it may affect trade between Member States”. Such abuses include (Halgreen, 2004): Price-fixing or unfair trade conditions Limiting production or technical development Applying dissimilar conditions to equivalent transactions with other trading parties, placing them at competitive disadvantage Making the conclusion of contracts subject to acceptance by the other parties of supplementary obligations which by their nature or according to commercial usage have no connection with the subject of such contracts. There are no exemptions, provided the three elements to breach Article 82 are met: a dominant position abuse of that position effect on inter-member trade caused by the abuse. Article 86 et seq. 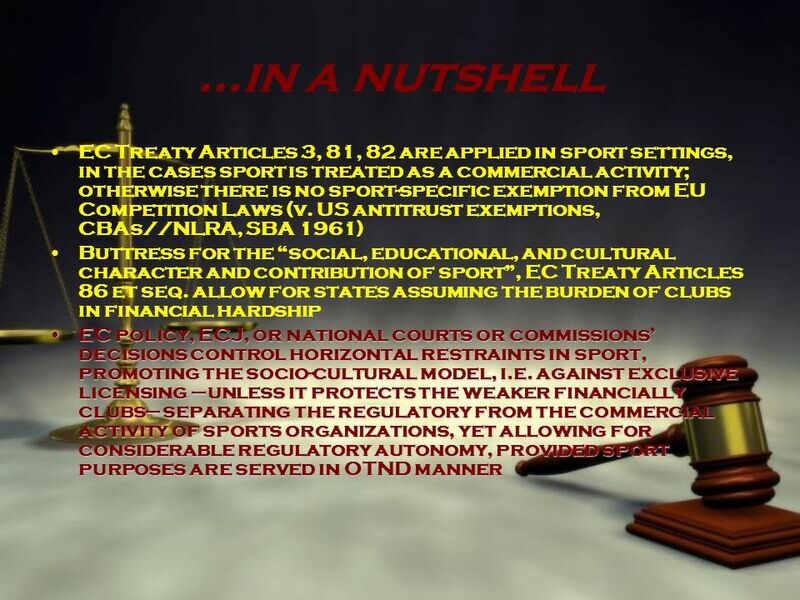 of the EC Treaty governs state aid administered to sports clubs. This becomes very important, introducing policy in the EU member states that allows governmental debt relief via a socio-cultural approach. Recently clubs in France (Paris, Bordeaux), Spain (Halgreen, 2004), and Greece (AEK, Aris, PAOK, et al.) fell within such “special liquidation” policies (Dedes, 2005), as a “measure designed to assist education and initial training, and as such constituting an educational or comparable scheme” (Halgreen, 2004, p. 103, footnote 47). Thus, it becomes apparent that the “socio-cultural” approach differentiates the handling of certain sport activities from pure commercial enterprises. Especially in times of dire financial straits for historic European sporting clubs, the states have been able to intervene and provide special resolution (Dedes, 2005). This special resolution oftentimes is argued to be contradictory to state constitutions, state common and civil laws, even EU community mores and business laws (Dedes, 2005). But the socio-cultural norm as expressed by EC policy at this point appears to allow for such special legal and financial management of relevant cases. Needless to say, in a purely commercialised sporting world such as the one in the US pro leagues, no justification would be possible. When sporting organisations in the US have had financial hardship, there was no way to establish governmental intervention to save the struggling clubs or leagues. 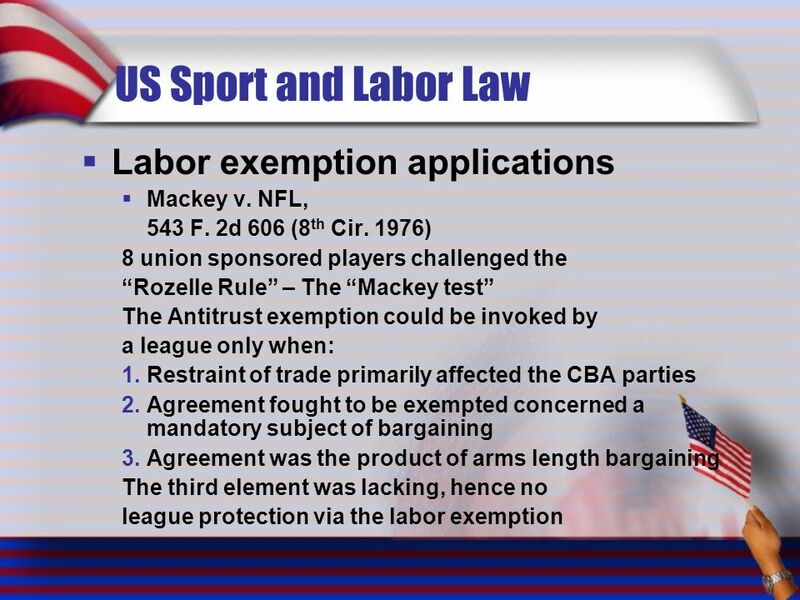 Unless there was an issue such as the ones rectified by the SBA of 1961 and the CFA of 1998, essentially providing remedy for both team owners and players to operate in a healthy and feasible business environment, congressional intervention would not step in and save e.g. the Women’s United Soccer Association (WUSA) or pro leagues’ competitors from economic extinction. The EC Competition Directorate Director General JF Pons (1999) emphasized: Solidarity, equality, uncertainty of results Social expectation of top-bottom € distribution ISFs may regulate and govern € activity Distinction of EC Competition policy compliance and sport policy requirements EC ≠ unjustified restrictive practices of sport orgs. with € impact // EC accepts practices inherent to the nature of sport, necessary for sport org. 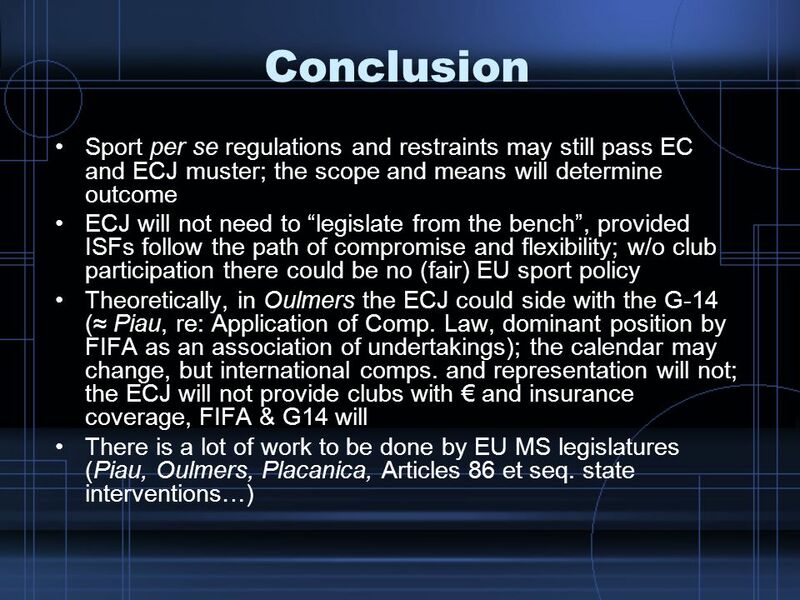 and justified Pons (1999): Certain sport policies may fall outside the scope of Article 81 (1) Game rules Nationality clauses for international competition v. national teams National quotas (also see UEFA’s “Homegrown Rule” critique) Rules for selection based on objective, non-discriminatory criteria Rules on fixed transfer periods Rules promoting uncertainty of results, barring other less restrictive methods Deputy Director General of Competition Directorate of EU Commission JF Pons, on 14/10/1999 clarified the rationale and in a way defined the application of the “socio-cultural” model of sport in the new era of commercialisation. 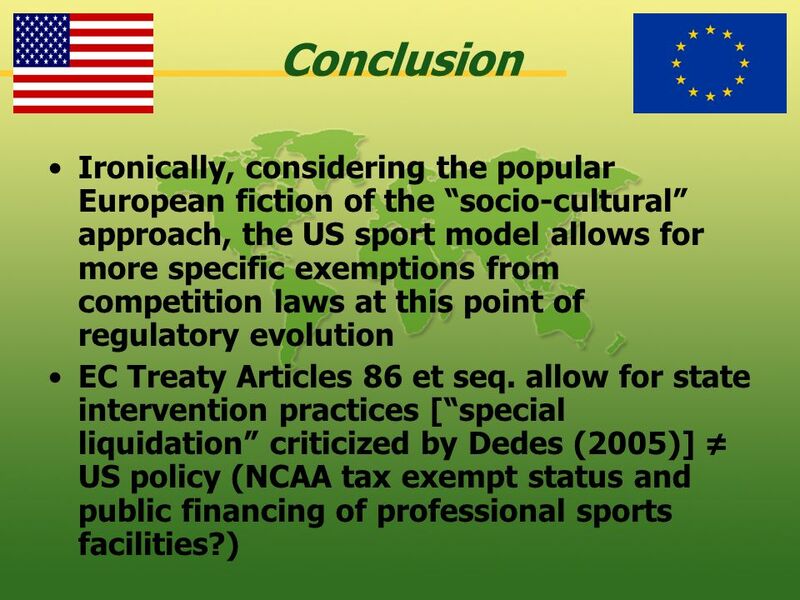 Pons (1999) emphasised the following points: There should be no premature drop out of teams, promoting solidarity and equality, as well as the uncertainty of results The social activity by millions of amateurs involves the expectation of top-bottom distribution of revenue ISFs regulate and may involve economic activities Commission distinguishes between compliance with Competition policy and requirements of sports policy Commission attempts to prevent restrictive practices of sports organisations with significant economic impact that are unjustified in the light of the goal of improving the competition and distribution of sports events, or in reference to the specific objectives of a sport. It will, however, accept practices that do not give rise to problems of competition, as being inherent in the nature of sport, necessary in the organisation of it, or justified Bearing in mind the difficulty of pinpointing the character of sporting activity, gradually and on a case-by-case basis the Commission and/or the ECJ will clarify rules inherent in sport or necessary for competition. Pons (1999) mentions he would not be surprised if in the future the following fall outside the scope of article 81 (1) of the Treaty: Rules of the Game Nationality clauses in competitions between teams representing nations National quotas governing the number of teams or individuals per country participating in European and international competition Rules for selection of individuals on the basis of objective and non-discriminatory criteria Rules setting fixed transfer periods for the transfer of players, provided the achieve some balance in the general structure Rules needed to ensure uncertainty as to results, where less restrictive methods are not available. 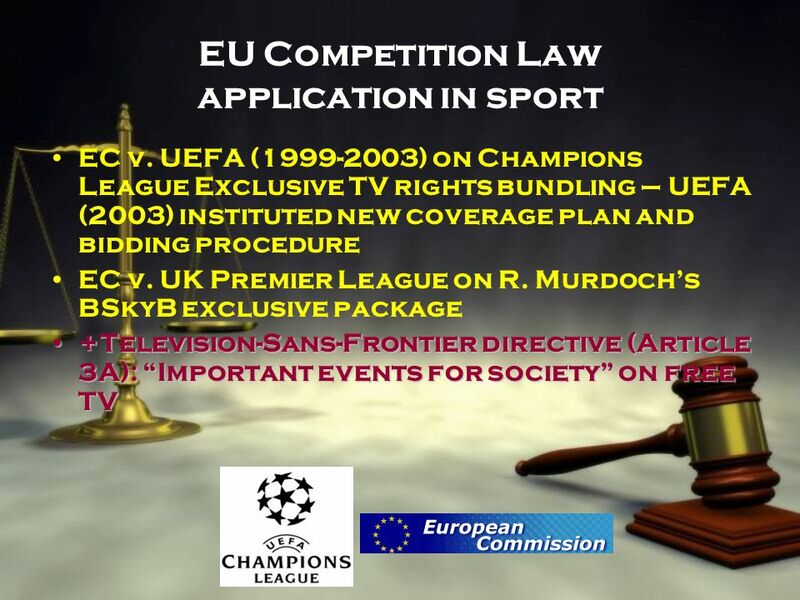 EC v. UEFA ( ) on Champions League Exclusive TV rights bundling – UEFA (2003) instituted new coverage plan and bidding procedure EC v. UK Premier League on R. Murdoch’s BSkyB exclusive package +Television-Sans-Frontier directive (Article 3A): “Important events for society” on free TV In 2003, UEFA assumed a new plan and on 24/7/2003 the EC reconsidered, bearing in mind the following justifications: Gold and Silver rights packages Exclusive right to sell remaining games (Bronze package) by cut-off date or individual clubs may use the right to negotiate themselves UEFA and clubs can exploit internet or cell phone avenues (UMTS technology) Maximum period of pool is 3 years via public tender procedure in open bidding. British Monopolies and Merchants Commission’s (MMC) decision refusing Rupert Murdoch’s £623 million bid for Man. U. as B-Sky-B owned the Premiership’s broadcasting rights and would have the other end of the table in broadcasting negotiations as well. MMC was not assured that the deal would not influence present and future broadcasting agreements (Halgreen, 2004, p. 123). 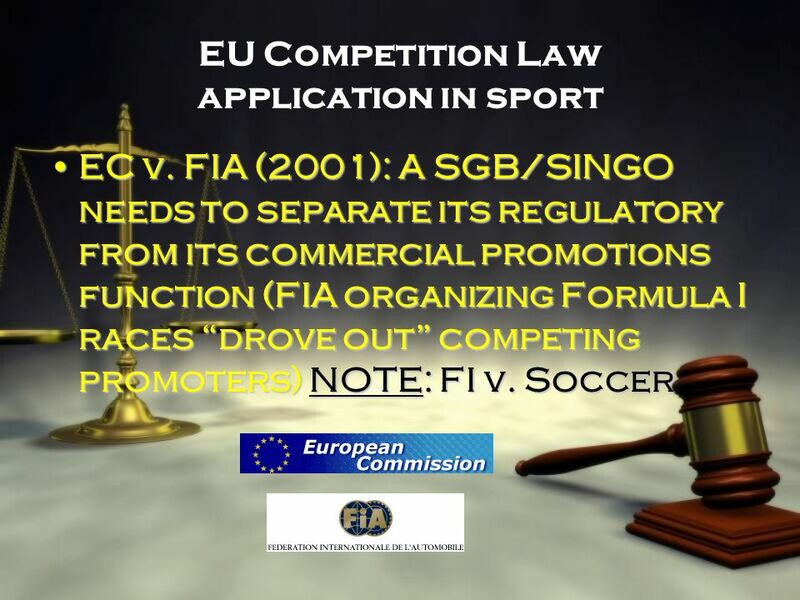 EC v. FIA (2001): A SGB/SINGO needs to separate its regulatory from its commercial promotions function (FIA organizing Formula I races “drove out” competing promoters) NOTE: FI v. Soccer In terms of monopolisation attempts and the misuse of a dominant position, the Formula 1 case provides useful insight, especially in regard to SINGOs/ISFs separation of regulation and promotion functions. In the International Automobile Federation (FIA) case the EC suggested that a governing body of sport needs to separate its regulation of the sport from its commercial activities in promoting events and in maximizing their commercial value; a governing body must not use its regulatory functions improperly to exclude its commercial rivals from the sport (COMP/35.163: COMP/36.638; COMP/ GTR/FIA & others. Official Journal 13/6/01). The history of the matter was that FIA prevented rival promoters from setting up events. It refused to license rival promoters, competitors, and events. It would ban drivers who competed in rival events. FIA insisted that circuit owners grant exclusive use of their tracks. It would penalize broadcasters if they showed rival events. The Commission convinced FIA to separate the regulatory from the commercial function, preventing conflicts of interest. As scholars note, there is a very different handling of motor sports (commercialized global sport) when compared to soccer (internationalized sport) (Foster, 2005; Halgreen, 2004). 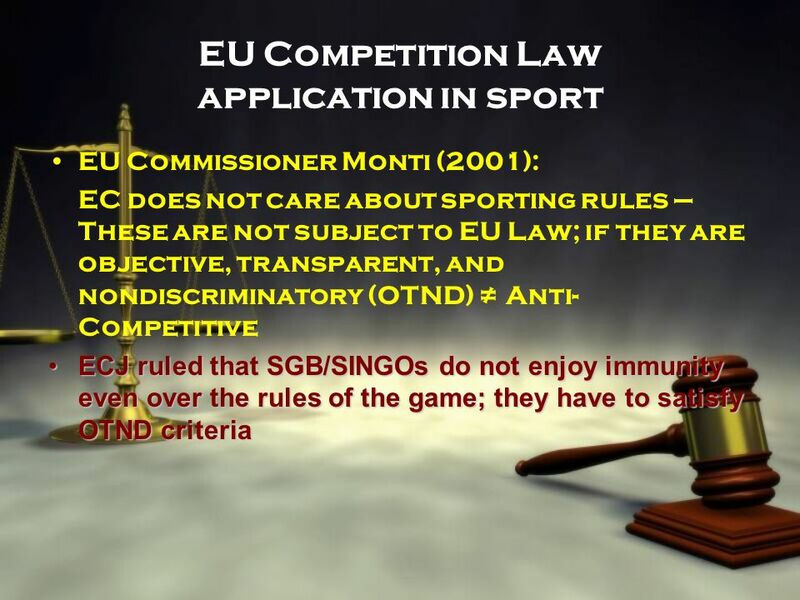 EU Commissioner Monti (2001): EC does not care about sporting rules – These are not subject to EU Law; if they are objective, transparent, and nondiscriminatory (OTND) ≠ Anti-Competitive ECJ ruled that SGB/SINGOs do not enjoy immunity even over the rules of the game; they have to satisfy OTND criteria What is important to note at this point (self-regulation of sporting organisations) is that the Commission “does not care about sporting rules” (Monti, 2001). 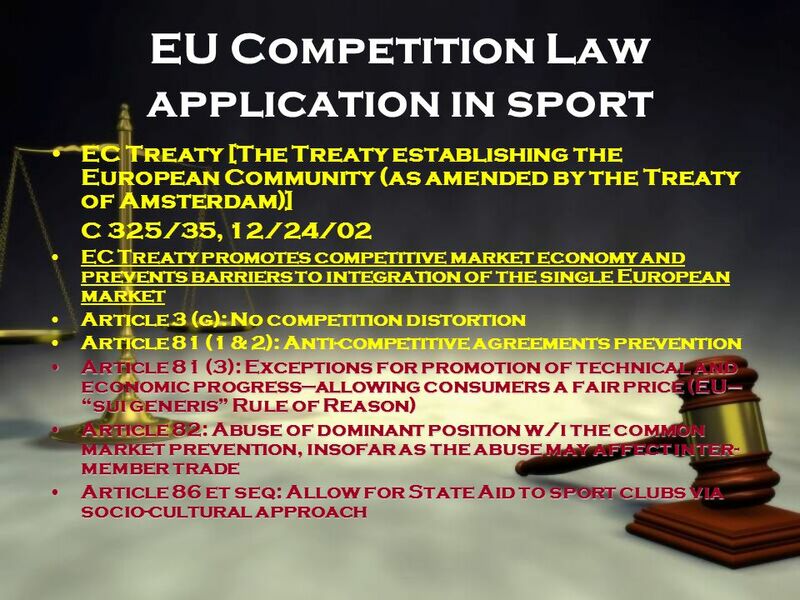 “Rules without which sport could not exist should not –in principle— be subject to EU Law application. 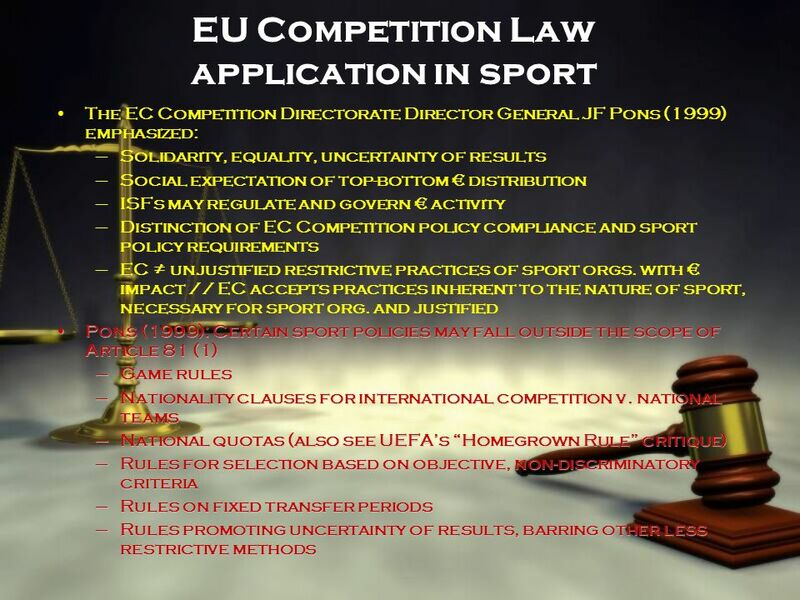 Sporting rules applied in an objective, transparent, and non-discriminatory manner do not constitute restrictions of competition” (Monti, 2001). The elements emphasized by Commissioner Monti –objective, transparent, and non-discriminatory—are the main areas where EC intervention and ECJ decision-making may promote a “socio-cultural” approach. Promoting these elements may entail preempting certain acceptable business practices. At the same time, the operators of sport organisations attempt to find ways under which restrictive practices may be upheld, considering the unique nature of the sport industry. On the matter, the ECJ rejected that sporting bodies have a clear immunity even over the rules of the game, and they have to satisfy basic legal safeguards, such as non-discrimination and rational decision-making criteria. These issues have been deciding factors in sport labor related cases, with the most decisive one, shaping the world of modern EU sport, being “Bosman”. 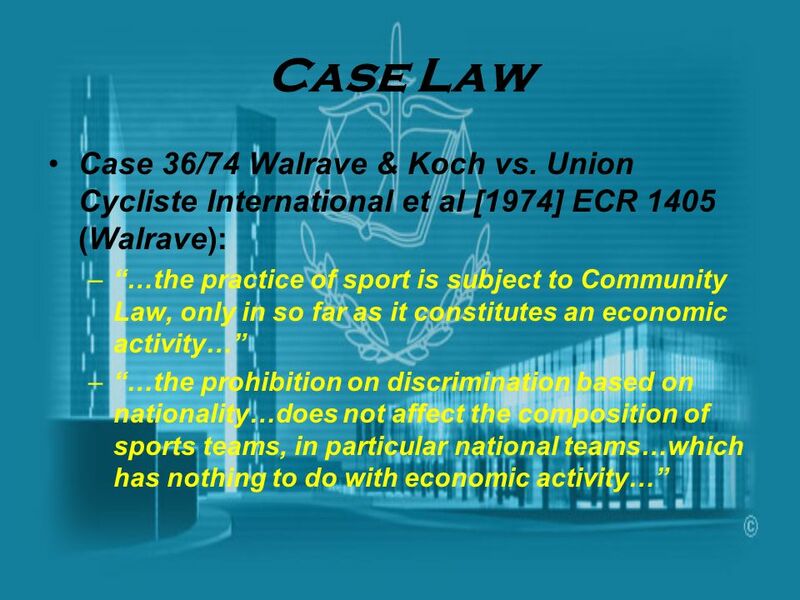 18 Case Law Case 36/74 Walrave & Koch vs. Union Cycliste International et al  ECR 1405 (Walrave): “…the practice of sport is subject to Community Law, only in so far as it constitutes an economic activity…” “…the prohibition on discrimination based on nationality…does not affect the composition of sports teams, in particular national teams…which has nothing to do with economic activity…” …Dutch motorcycle pacemakers wanted to work for other than Dutch teams… Article 39 (48) extended to collective regulations of gainful employment services, supported by Article 7 (4) of Counsel Regulation 1612/68, prohibiting nationality discrimination in agreements and collective regulations concerning employment. The abolition of obstacles to freedom of movement [EC Treaty Article 3 c] would be meaningless if such barriers were replaced by obstacles imposed by Associations not subject to public law. The latter brought private sports organizations within the realm of community law (Halgreen, 2004). “…Rules or a national practice, even adopted by a sporting organisation, which limit the right to take part in football matches as professional or semi-professional players solely to the nationals of the state in question, are incompatible with Article 7, and as the case may be, with Article 48 to 51 or 59 to 66 of the Treaty, unless such rules or practice exclude foreign players from participation in certain matches for reasons which are not of an economic nature and context of such matters are thus of sporting interest only.” Imprecision in Walrave and Dona led the EC and UEFA (1989) to adopt the “3+2” rule (3 non-nationals and 2 assimilated players) …agent wishing to recruit players abroad targeted restrictive nationality clauses… The imprecise language of “Walrave” and “Dona” may very well have been one of the reasons why very little was done to prevent continued discriminatory practices in European sport after 1976 (Halgreen, 2004, p. 51). 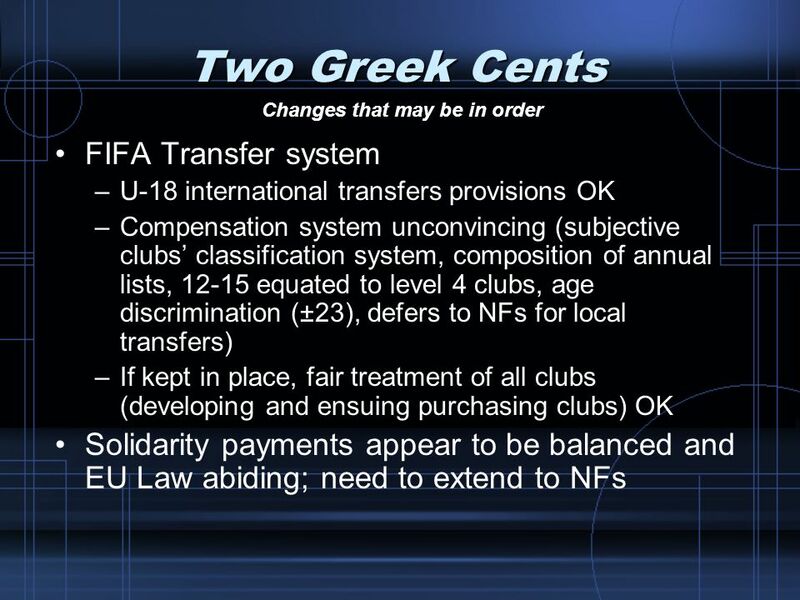 13 years after “Dona” (Halgreen, 2004), attempting to rectify such ambiguity and uncertainty governing the sport industry, and especially European soccer, the Commission and UEFA reached a “gentleman’s agreement”, introducing the “3+2 rule” (club teams could use 3 non-nationals and 2 assimilated players who had played in that country for 5 years without interruption, including 3 years in junior teams). Case 222/86 UNECTEF vs. Heylens  ECR 4112 (“Heylens”) dealt with discrimination of a Belgian football trainer, holding a Belgian diploma, employed by Lille, in France. In order to practice the occupation of football trainer in France, a person must be the holder of a French license, or a foreign one which has been recognised by the state. Heylens’ application was rejected without cause. The ECJ recognised that in the absence of harmonisation of the conditions of access to a particular occupation, the member states were entitled to lay down the knowledge and qualifications needed in order to pursue it and to require the production of a diploma certifying that the holder had the relevant knowledge and qualifications. However, in order for the national state to exercise the right of rejection, the person concerned had to be given the opportunity to ascertain the reasons for the decision, which was not the Heylens case. Similar cases include: Thieffry [Case 71/76 (1977) ECR 765], Klopp [Case 107/83 (1984) ECR 2971], Ramath [Case 106/91 (1992) ECR 3351], Kraus [Case 19/92 (1993) ECR 1663]. 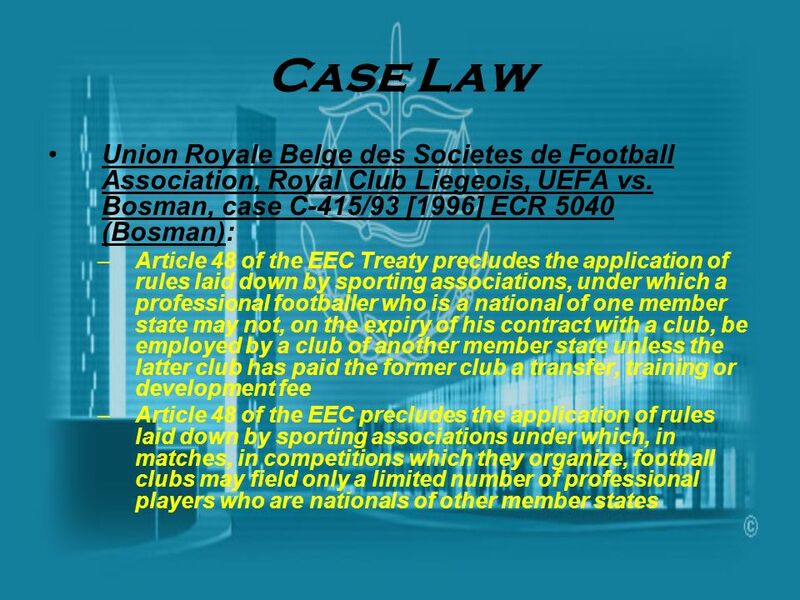 20 Case Law Union Royale Belge des Societes de Football Association, Royal Club Liegeois, UEFA vs. Bosman, case C-415/93  ECR 5040 (Bosman): Article 48 of the EEC Treaty precludes the application of rules laid down by sporting associations, under which a professional footballer who is a national of one member state may not, on the expiry of his contract with a club, be employed by a club of another member state unless the latter club has paid the former club a transfer, training or development fee Article 48 of the EEC precludes the application of rules laid down by sporting associations under which, in matches, in competitions which they organize, football clubs may field only a limited number of professional players who are nationals of other member states …the “bombshell” in European sports law and policy Thus, “Bosman” killed two European “sacred cows” (Halgreen, 2004): the transfer system and nationality clauses. 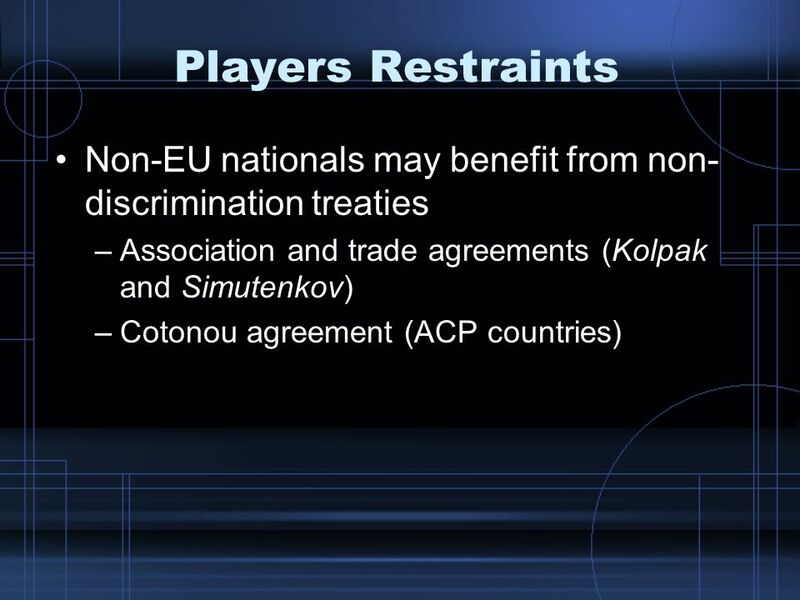 Pro players were considered workers governed by EC Treaty, upholding their fundamental rights. Per transfer rules the ECJ concluded that the old transfer system and nationality clauses violated Article 39 (then 48); it refrained from taking a stand on the competition law aspects of the case. Weatherill (2000) supports that the use of free movement law under Article 39 was a blip. He goes further saying that Competition Law is most applicable for sport. Thus, ECJ elegantly passed the baton to the Commission. 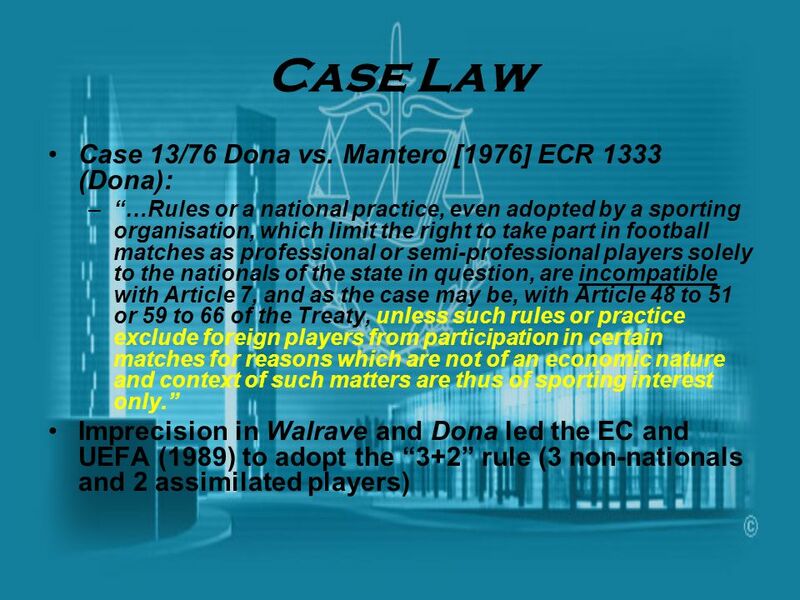 ECJ reaffirmed “Walrave” and “Dona” per sport application of EC Law in so far as it constituted and economic activity. As an extension, the court did not preclude rules or practices justified for non-economic reasons (e.g. 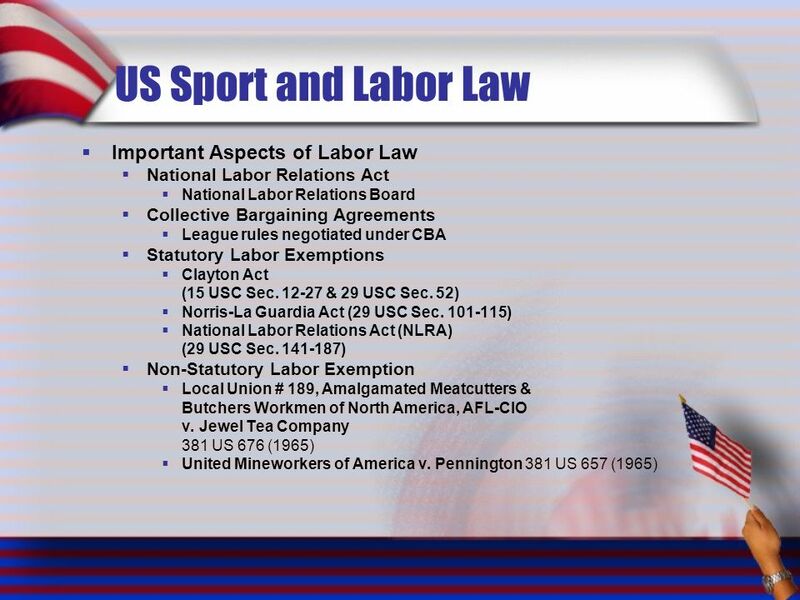 particular sport-specific regulations, in specific nature and context). These would have limited basis per proper objective, not excluding the whole of sporting activity from the scope of the Treaty (Halgreen, 2004). 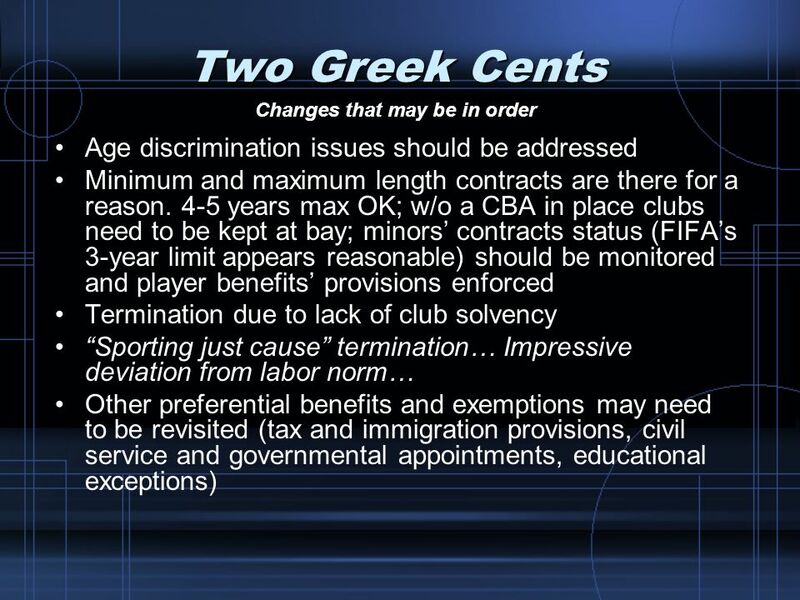 Transfer rules = Obstruction of free movement Due to social importance of sport… teams’ balance, equality, uncertainty of results… recruitment & training of young players are legitimate Transfer rules ≠ adequate means for balance Same aims can be achieved via less restrictive means (salary cap, redistribution of ticket sales, broadcasting contracts, etc…) Nationality clauses = Discriminatory under Article 39 (48) Render freedom of movement inapplicable Not pro-competitive (richest clubs + edge) Transfer rules were considered an obstruction of workers’ free movement, as “…such rules could only be justified if they pursued a legitimate aim compatible with the Treaty due to pressing reasons of public interest. Even so, application of such rules would still have to be such as to ensure achievement of the aim in question and not go beyond what is necessary for that purpose.” Further, the ECJ concluded in “Bosman”: 106. Due to social importance of sport… the aims of maintaining a balance between clubs by preserving a certain degree of equality and uncertainty per results and encouraging the recruitment and training of young players must be accepted as legitimate 107. The application of transfer rules… is not an adequate means of maintaining financial and competitive balance in the world of football… 108. It must be accepted that the prospect of receiving transfer, development, or training fees is indeed likely to encourage clubs to seek new talent and train young players 109. It is by nature difficult to predict future of young players… fees are contingent and uncertain, and are in any event unrelated to the actual cost borne by clubs of training both future pro players and those who will not play pro. The prospect of receiving such fees cannot, therefore, be either a decisive factor in encouraging recruitment and training of young players or an adequate means of financing such activities, particularly in the case of smaller clubs. 110. As the Advocate General pointed out in 226 et seq. of his Opinion, the same aims can be achieved at least as effectively by other means, which do not impede freedom of movement for workers. I.e. other means would be a salary cap via collective wage agreement, redistribution of income from ticket sales, radio and TV contracts, and other sources to achieve a balance. The ECJ dismissed claims that transfer fees were necessary for the continuation of the world of football or that clubs should be compensated because of the expenses they had incurred recruiting their players. On nationality clauses, the ECJ considered such practices discriminatory under Article 39 (48). 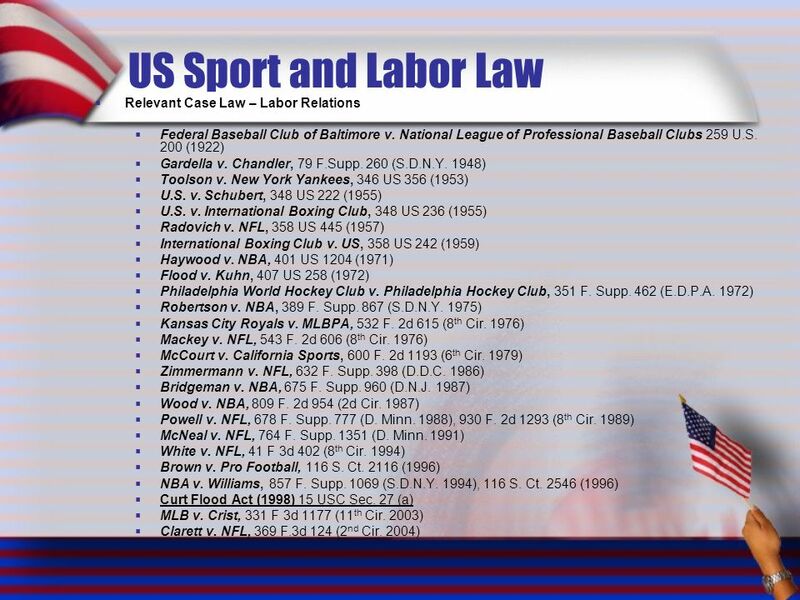 The court disregarded arguments that rules were not per se restrictions on employment, but restrictions on participation, as participation was the essential purpose of a pro player’s activity. 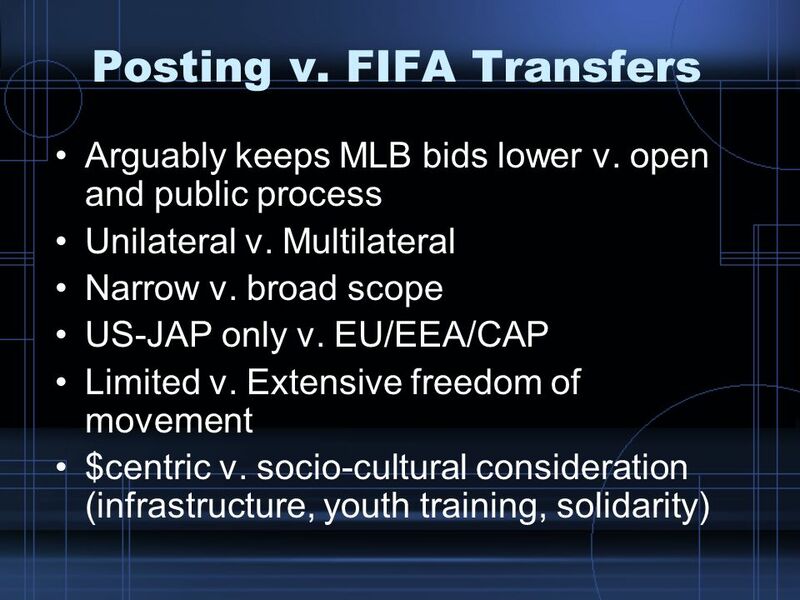 Advocate General Lenz’s interpretations – as important for the world of sport in Europe as were the opinions by Justice Holmes in “Federal Baseball” for US baseball— supported that limitations of the sort would render freedom of movement inapplicable. 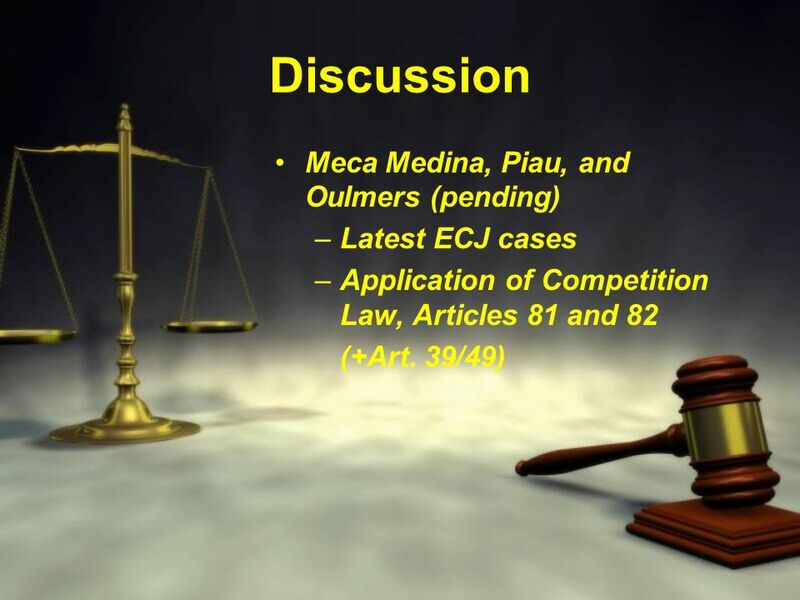 The ECJ also did not accept that they were pro-competitive rules. Nothing prevented the richest clubs securing the best national players. 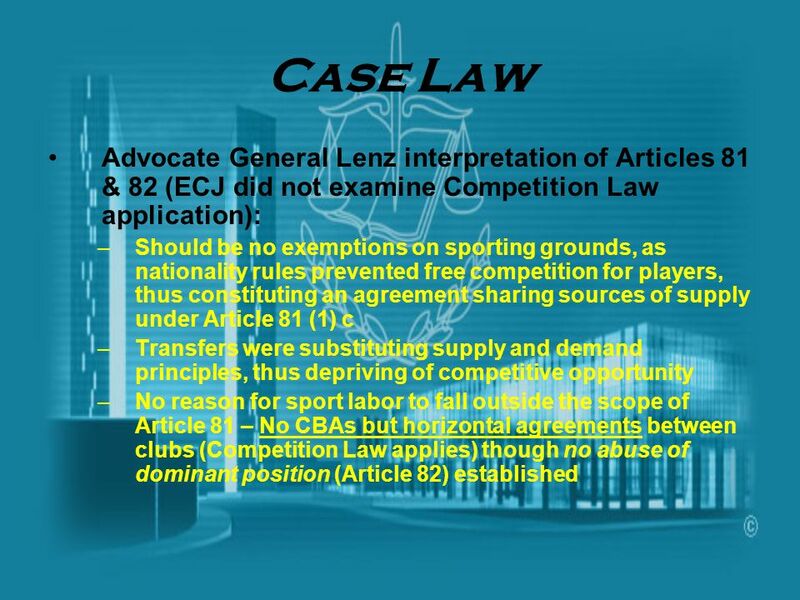 22 Case Law Advocate General Lenz interpretation of Articles 81 & 82 (ECJ did not examine Competition Law application): Should be no exemptions on sporting grounds, as nationality rules prevented free competition for players, thus constituting an agreement sharing sources of supply under Article 81 (1) c Transfers were substituting supply and demand principles, thus depriving of competitive opportunity No reason for sport labor to fall outside the scope of Article 81 – No CBAs but horizontal agreements between clubs (Competition Law applies) though no abuse of dominant position (Article 82) established Advocate General Lenz and his interpretation of Article 81 and 82 (then 85 and 86) in the sports context is so far the best and most authoritative reading of the EC Treaty (Halgreen, 2004). The ECJ did not deem appropriate to examine Competition Law application under Articles 81 and 82 once found that rules were violations of Article 39… Lenz, however, did extend (Halgreen, 2004, p.194). 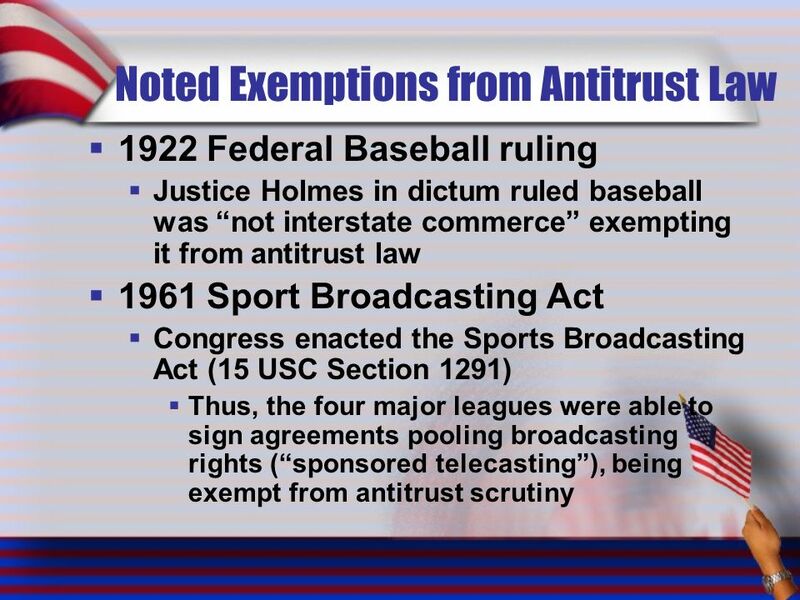 There should be, he argues, no exemptions on “sporting grounds”. Nationality rules prevented free competition of clubs on recruiting players, thus constituting an agreement sharing sources of supply within the meaning of Article 81 (1) c. On transfers, the substitution of supply and demand by the traditional transfer system essentially was a deprivation of competitive opportunities. On a labor exemption, UEFA argued that it was a concealed labor/wage dispute. 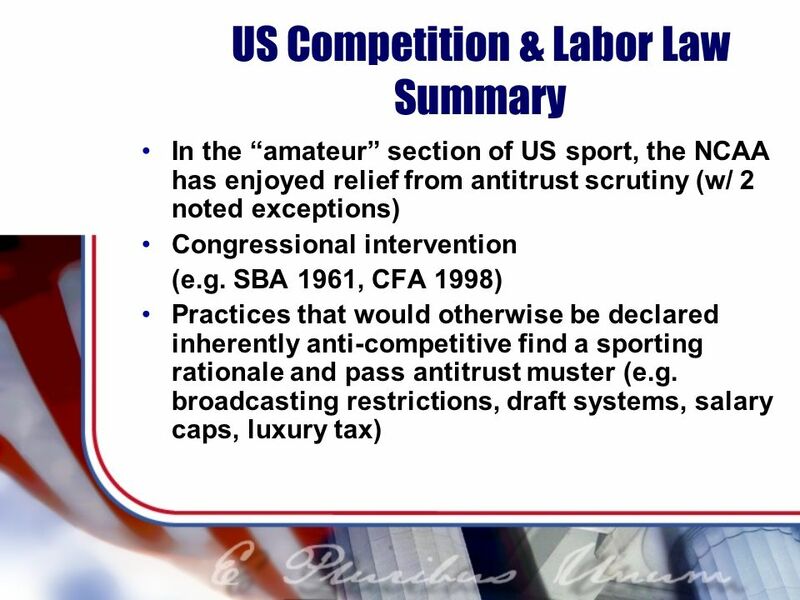 Employer-employee relations should not come under scrutiny of Competition Law (in the spirit of US antitrust labor exemptions). In Lenz’s opinion, there was no rule for employment relationships to fall outside the scope of Competition Law. He stated that restrictions of such sort might indeed exist under the scope of Article 81, but would be “limited in character”. Lenz went beyond that theoretical problem observing that there were no collective bargaining agreements in place but simple horizontal agreements between clubs. Hence, UEFA’s argument fell to the ground. Such agreements are within the scope of Article 81, though no abuse of a dominant position under Article 82 was established. Camatsos (2005): The current transfer system came as a result of the judicial failure to tackle important issues when they were ripe… Focusing on the restraints on free player movement might have been the correct path to take at that time, but with hindsight, a quick dip into the competitive realities of the game would have proven extremely useful. 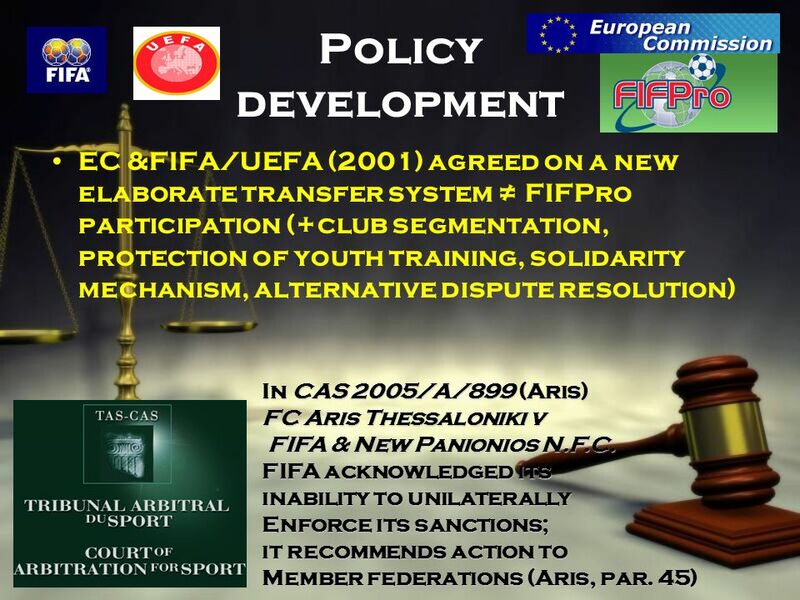 However, legislation mirroring the ECJ holding has not materialized and subsequent application of competition law to European football continues to be unpredictable… Top clubs currently profit by exploiting the talent pool of the smaller clubs… ECJ caused or significantly contributed to the problems football is facing today. The Bosman decision created a market where players salaries have increased tremendously, despite the drying up of new revenue sources, and the widening gap between the wealthier and poorer clubs. These are all conditions that competition law were created to prevent. In order to counter the financial downslide caused by the transfer system, the sporting federations will have to adopt new, financial restrictions, such as salary caps. 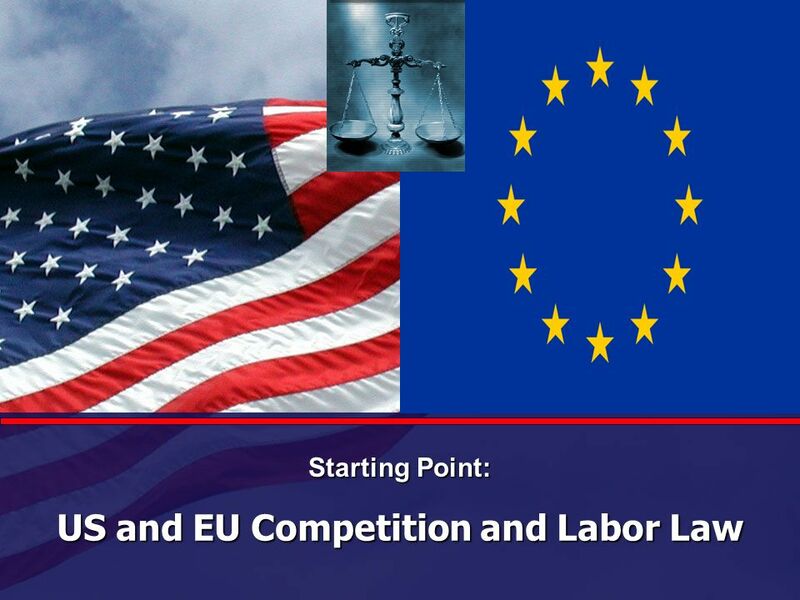 However, restrictive regulations will forestall competition, which is prohibited under European competition law. Ultimately, European Union (EU) institutions may have to change how they view these restrictions because the policy goal of increasing consumer welfare should prevail in deciding whether these restrictions should be allowed to operate. If the industry is made more productive, in the sense that restrictions serve the consumer and help combat financial problems, then the industry should be permitted to adopt them. 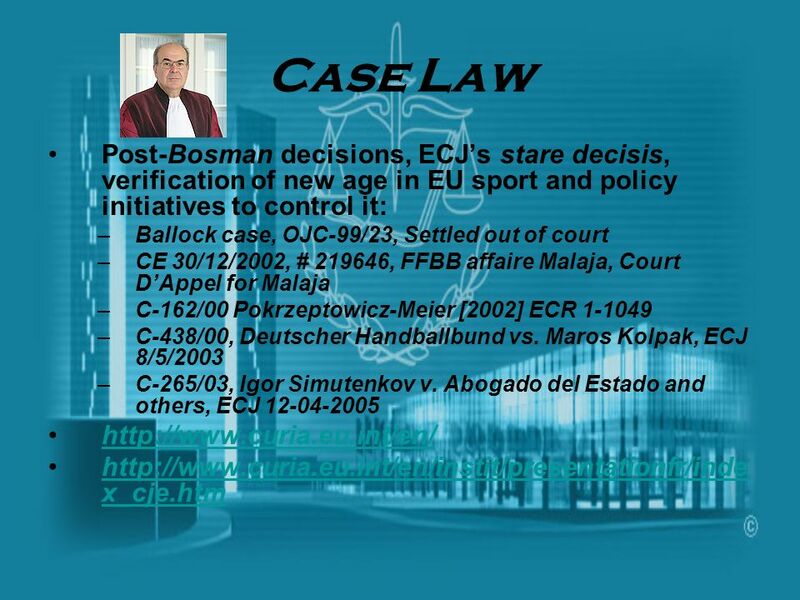 23 Case Law Post-Bosman decisions, ECJ’s stare decisis, verification of new age in EU sport and policy initiatives to control it: Ballock case, OJC-99/23, Settled out of court CE 30/12/2002, # , FFBB affaire Malaja, Court D’Appel for Malaja C-162/00 Pokrzeptowicz-Meier  ECR C-438/00, Deutscher Handballbund vs. Maros Kolpak, ECJ 8/5/2003 C-265/03, Igor Simutenkov v. Abogado del Estado and others, ECJ In the post-“Bosman” world of European sport, there was a consensus for new transfer rules (Halgreen, 2004). Sport migration patterns developed in Europe. Talented athletes would mainly swarm to the more lucrative sports markets. Participation by national athletes would deteriorate, and salaries would be controlled. Arguably the decision strengthened national leagues, and promoted competition in the lower level ones. The decision assumed a broader scope after the Copenhagen Summit in December 2002, by means of 10 member-states’ expansion. Furthermore, there were European trade agreements extending the coverage and application of Bosman (Halgreen, 2004; Martins, 2004). Kolpak: Handball player from Slovakia (extension of coverage to trade association countries) Simutenkov: Confirmation – Not covering access to employment (+Martins, 2004) Vassilios Skouris≈John Roberts – ECJ Chief Justice Grand Chamber (13 judges) – 6 Chambers of 3/5 judges Christine Stix-Hackl – 1st Advocate General 7 Advocate Generals The Court of First Instance The Civil Service Tribunal The Court of Justice is made up of 25 Judges and 8 Advocates-General. Should the Court so request, the Council may, acting unanimously, increase the number of Advocates-General. The Judges and Advocates-General are appointed by common accord of the governments of the Member States and hold office for a renewable term of six years. They are chosen from legal experts whose independence is beyond doubt and who possess the qualifications required for appointment to the highest judicial offices in their respective countries or who are of recognised competence. The Judges select one of their number to be President of the Court for a renewable term of three years. The President directs the work of the Court and its staff and presides at hearings and deliberations of major formations of the Court. The Advocates-General assist the Court in its task. They deliver, in open court and with complete impartiality and independence, opinions in all cases, save as otherwise decided by the Court where a case does not raise any new points of law. Their duties should not be confused with those of a public prosecutor or similar body. 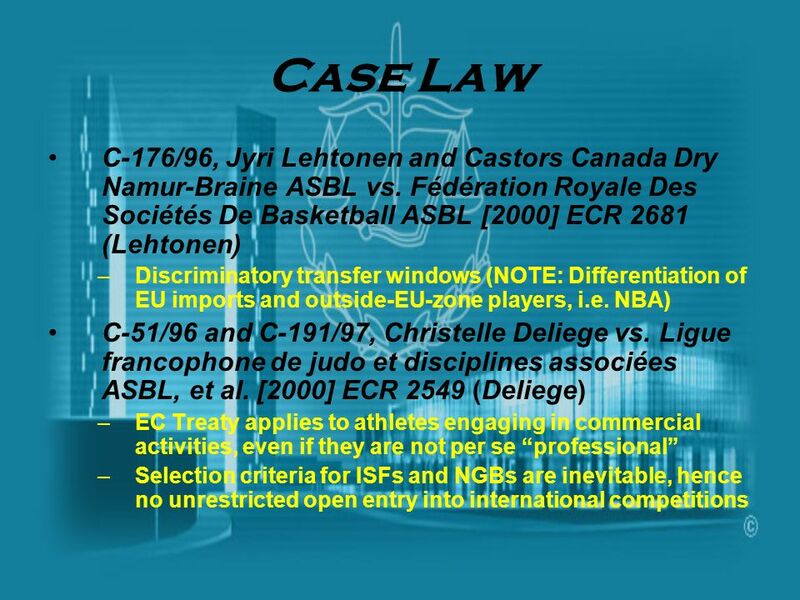 24 Case Law C-176/96, Jyri Lehtonen and Castors Canada Dry Namur-Braine ASBL vs. Fédération Royale Des Sociétés De Basketball ASBL  ECR 2681 (Lehtonen) Discriminatory transfer windows (NOTE: Differentiation of EU imports and outside-EU-zone players, i.e. NBA) C-51/96 and C-191/97, Christelle Deliege vs. Ligue francophone de judo et disciplines associées ASBL, et al. ECR 2549 (Deliege) EC Treaty applies to athletes engaging in commercial activities, even if they are not per se “professional” Selection criteria for ISFs and NGBs are inevitable, hence no unrestricted open entry into international competitions Finnish basketball player challenged acquisitions’ deadlines as violations of fundamental rights according to Article 39 of the EC Treaty. 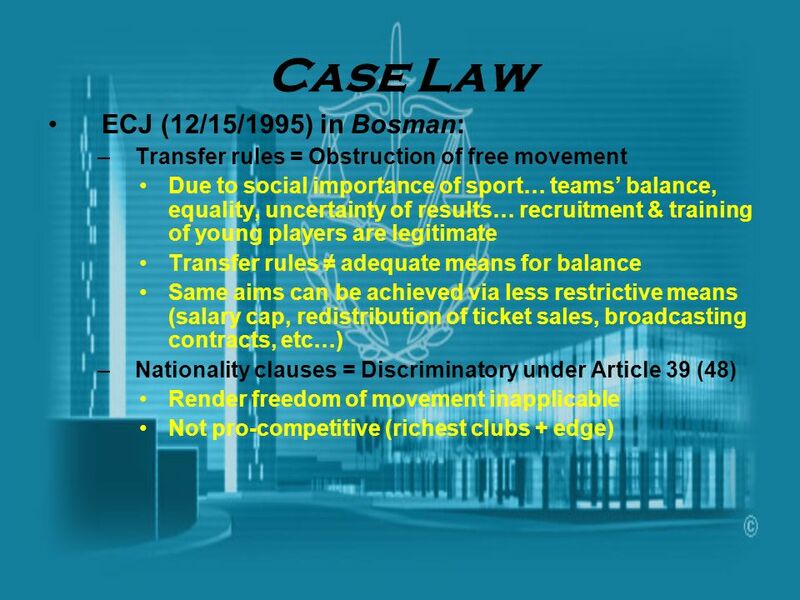 The court established that transfer windows were discriminatory, as for Belgian clubs they were 15/4/ /5/1995, for EU imports they extended to 18/2/1996, and for players from outside the EU zone (e.g. NBA players) they extended to 31/3/1996. …the issue challenged was the freedom of sporting federations to select individual athletes to participate on national teams for international competitions. Belgian judoka Deliege had not been selected by her federation, as the International Judo Federation (IJF) imposed nationality-based quotas on participation. She was not a “professional” athlete, but lived off grants, was engaged full time in her sport, and had no other job. The court stated that the EC Treaty applied to her as she was engaged in commercial activities. ECJ recognized that some selection criteria were inevitable for ISFs; totally unrestricted open entry was unworkable. 4 players shall be “locally trained” Reduced squad size (25) Local training = Registered w/ club 3 years/seasons while year-old Beginning season As often the case with policy initiatives, reactions have been split Legal scholarship argues that it would be found in violation of the EC Treaty (Briggs, 2005; Parrish 2005; EurActiv, 2005; Asser Instituut & Lancaster University, 2005) In her recent critique of UEFA’s “Homegrown rule”, which as of would require four players on each team to be trained in the youth development program of the respective club as “locally trained” players, defined as players who have been registered for three seasons/years with the club between the ages of 15 and 21, Briggs (2005) shares Professor Parrish’s comments (EurActiv, 2005b) that such a rule may find its way before the ECJ. The authors argue that such an admittedly shrewd legal strategy on the part of UEFA may still not pass ECJ and EC muster, as in effect it would create nationality-based discriminatory criteria for sport participation in both European and national leagues. “Although the rule does not explicitly impose nationality requirements on club teams, the effect of the requirement will be to decrease the number of foreign youths being trained by each club development program and thereby increase the number of local players on any given team… UEFA can thus create de facto nationality quotas without ever using the word "nationality"” (Briggs, 2005). According to Parrish (quoted in EurActiv, 2005b), “even though UEFA claims the quota is neutral in terms of nationality, it is clear the intention and effect of the rule is to indirectly discriminate on the grounds of nationality.” These authors agree that as long as there is no clear exception of sport in the EC Treaty in reference to employment, freedom of movement, and competition, such rules will not be valid under ECJ scrutiny. 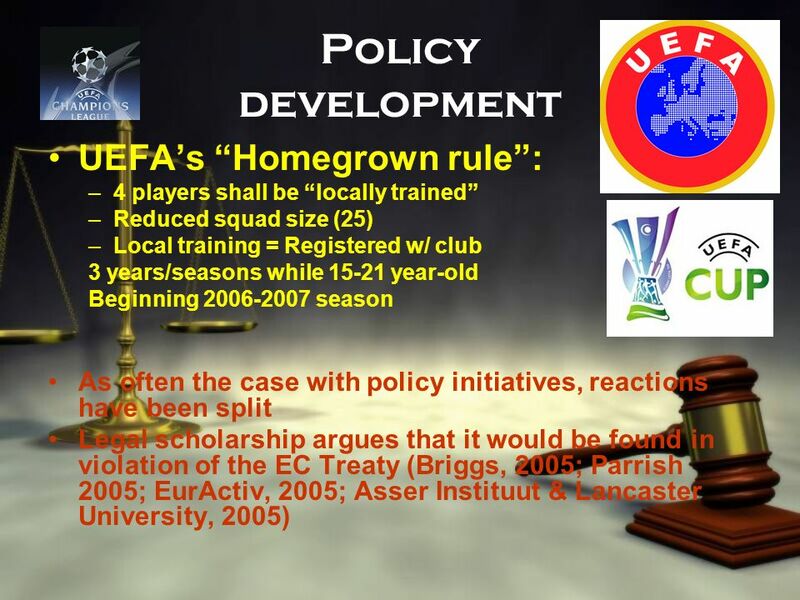 Briggs (2005) concludes: “With the Homegrown Rule, UEFA is making an effort to comply with the letter of EU antidiscrimination law while still preserving the important local character of European league soccer. It recognizes the validity of antidiscrimination policy and imposes only minimal restrictions on free movement, but reaffirms private league soccer as more than purely economic activity.” Her comment that “sport is not a business like any other business” (Briggs, 2005) clearly embodies the aforementioned impact of a socio-cultural approach to sport policy. The author optimistically forecasts: “The Homegrown Rule is an attempt to evade current law, and if the rule is challenged, the challenge may provide a key opportunity for carving out a soccer exception to EU economic policy. Such an exception would be appropriate given the unique nature of the business of soccer. This is especially true where, as under the Homegrown Rule, the exception would have only minor affects on free movement of workers. A reexamination of application of antidiscrimination laws to soccer would be the EC's best option in resolving the current conflict” (Briggs, 2005). The 97-page report on 'Professional Sport in the Internal Market' was drafted by the Asser Instituut in The Hague and Lancaster University in the United Kingdom. It focuses mainly on football but raises general principles of EU law such as media rights, licence systems, state aid, transfer arrangements and rules on merchandising. It warns that some, but not all, of the rules governing the world of sport may constitute a breach of EU rules on fair competition and non-discrimination. 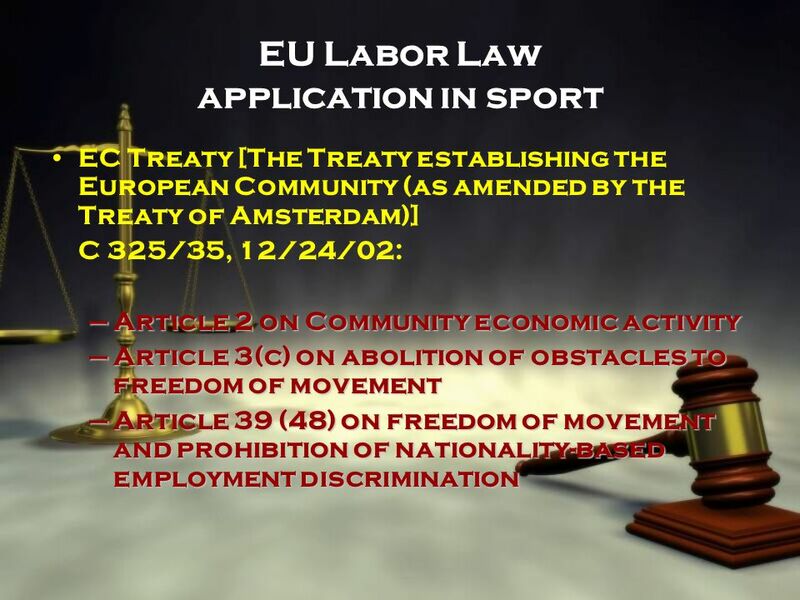 28 …in a nutshell Bosman and Post-Bosman cases led to a free sport market and free sport labor, forestalling transfer and nationality rules in the EU, including labourers originating from trade associations’ countries, according to the recent ECJ decisions extending Article 39’s scope no collective bargaining exemptions in EU sport -- sport labor is not treated differently Access to sport employment and international competition participation opportunities may be controlled by reasonable rules according to Lenz, Monti (2001), and Deliege (2000) The conflict between EU law and SINGOs is resolved by dialogue between the EC and the SINGO, as in the case of the new FIFA transfer system (& UEFA Homegrown Rule). 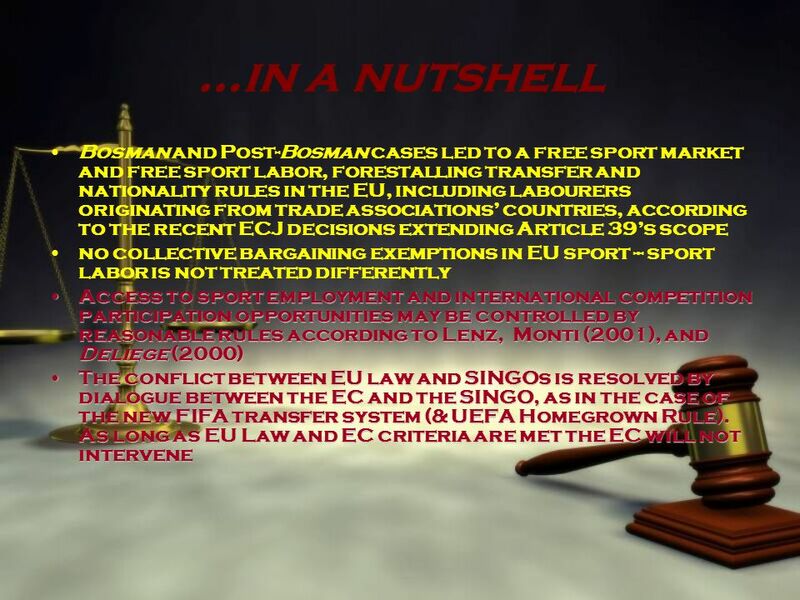 As long as EU Law and EC criteria are met the EC will not intervene “Bosman” and the cases that followed brought forth a free sport market and free movement for sport labor, forestalling transfer and nationality rules in the EU, including labourers originating from trade associations’ countries Considering there are no collective bargaining exemptions in EU sport, SINGOs cannot argue that sport labor should be treated differently Access to sport employment and international competition participation opportunities may be controlled by reasonable rules according to Lenz, Monti (2001), and “Deliege” (2000) The inherent conflict between EU law and SINGOs is usually resolved by dialogue between the EC and the SINGO, as in the case of the new FIFA transfer system. As long as SINGOs rules meet the criteria set by the EC, complying by EU law, the EC will not intervene. Pass the EC Muster In the process of the proposed EU Constitution, there were amendments as constitutional proposals referring to sport: “The Union shall contribute to the promotion of European sporting issues, given the social and educational function of sport.” (Article 16) “Union action shall be aimed at developing the European dimension in sport, by promoting fairness in competitions and cooperation between sporting bodies and by protecting the physical and moral integrity of sportsmen and sportswomen, especially young sportsmen and sportswomen.” (Article 182) The ECJ is likely to be the one entity to decide per scope of non-intervention policy toward pro sports sector in absence of “hard” EC sports law (Mestrte, 2005; Halgreen, 2004). On 29/10/2004 the Treaty of Rome promoted the EU Constitution, with state legislatures and referendums to follow. Articles I-17 and III-282 were proposed coordinating, supplementing, and supporting action. Sport fell under the category of education, training, and youth. Emphasis was drawn on its social and educational function. Once more, it is recognised that “European construction based only on economic aspects is condemned to failure” (Robert Schuman quoted in Mestrte, 2005). 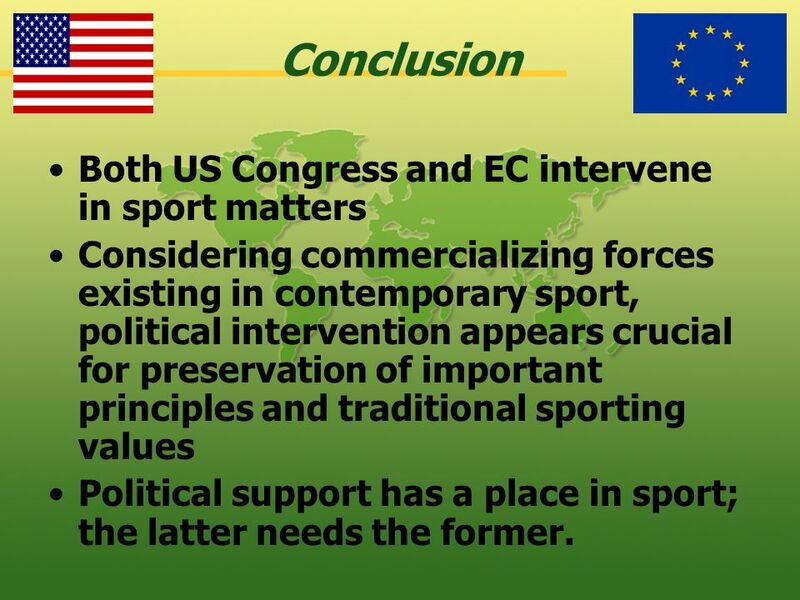 Considering commercializing forces existing in contemporary sport, political intervention appears crucial for preservation of important principles and traditional sporting values Political support has a place in sport; the latter needs the former. 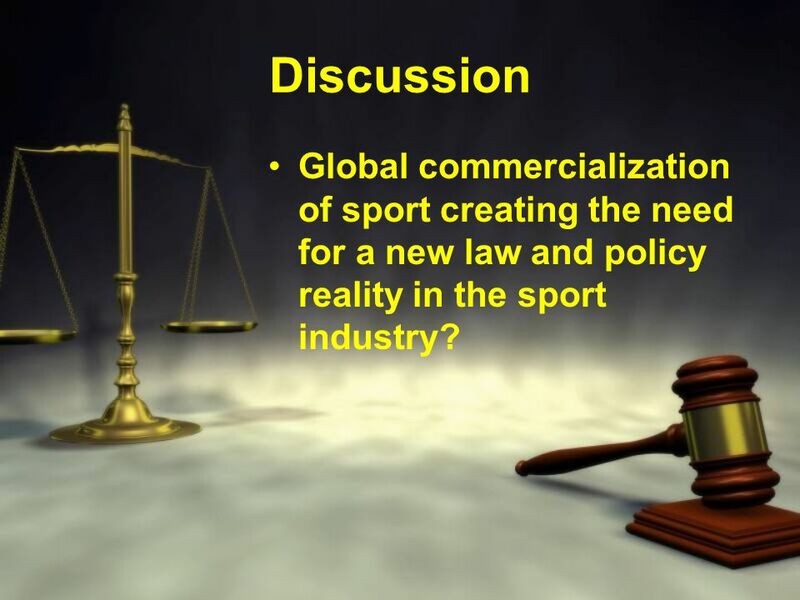 32 Discussion Global commercialization of sport creating the need for a new law and policy reality in the sport industry? 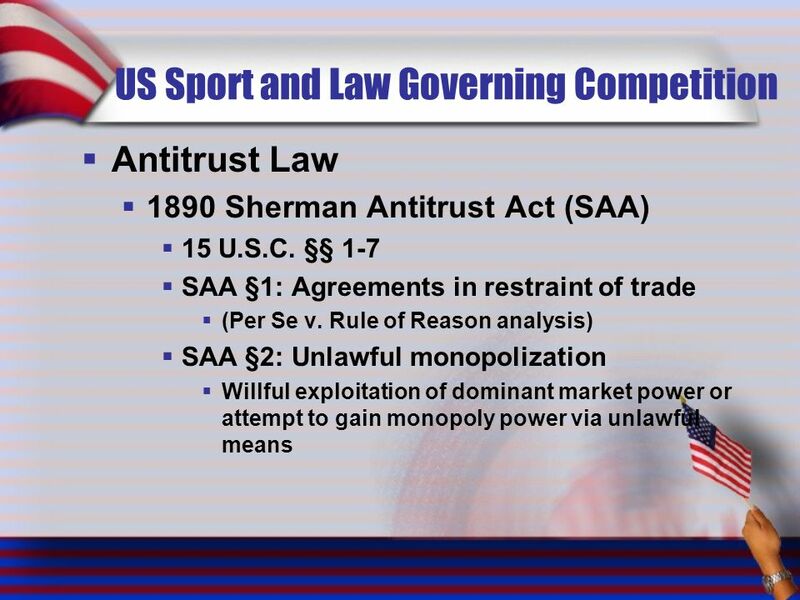 33 Discussion Antitrust – Competition Law exemptions… Purpose? Need? Scope? Compromise (EU?) 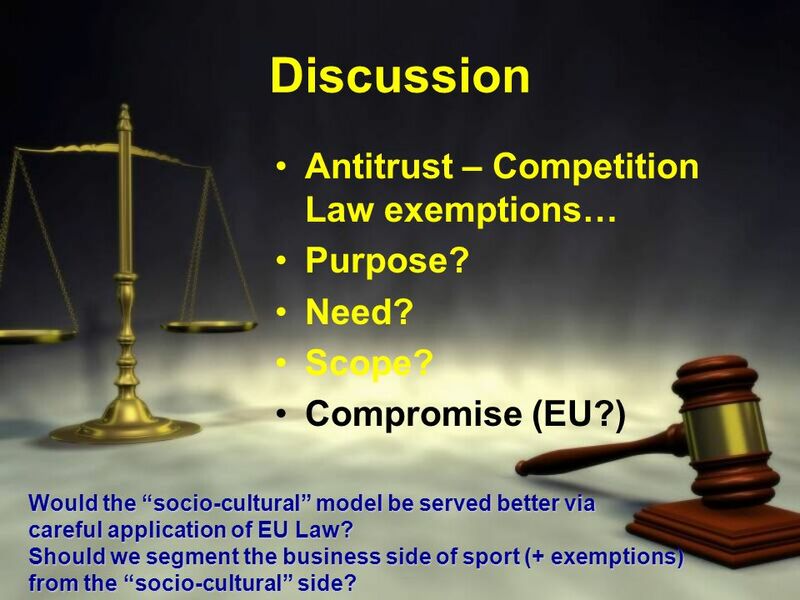 Would the “socio-cultural” model be served better via careful application of EU Law? Should we segment the business side of sport (+ exemptions) from the “socio-cultural” side? 36 Transfers 1891 – English Soccer clubs recouping training cost, controlling player mobility, promoting competitive balance Transfer windows – Competition aspect? Transfer fees U-23 (for training incurred U-21) George Eastham, a football player for Newcastle United, successfully challenged in Court the English transfer system in 1963 (McArdle 2000: 25-27; Greenfield and Osborn 2001: 79-82). Wilberforce, J. in Eastham v. Newcastle United Football Club (1963) 3 All ER 139; (1964) 1 Ch.D. 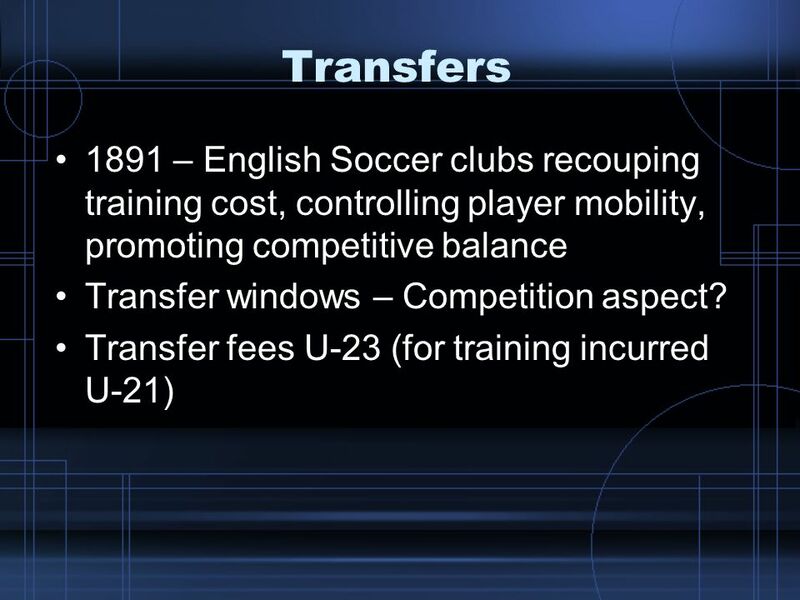 413: Clubs in general don’t spend large sums in training professional soccer players compared to other apprentices; held that the transfer system was in restraint of trade. Marko Tervio (2003) stated that training cost is quite small compared to transfer fees and that players’ market value can increase by orders of magnitude over a course of a year or two, the largest increase taking place while players are already playing professionally, not while they train at youth academies or play for junior teams (Agbonjinmi 2004) . 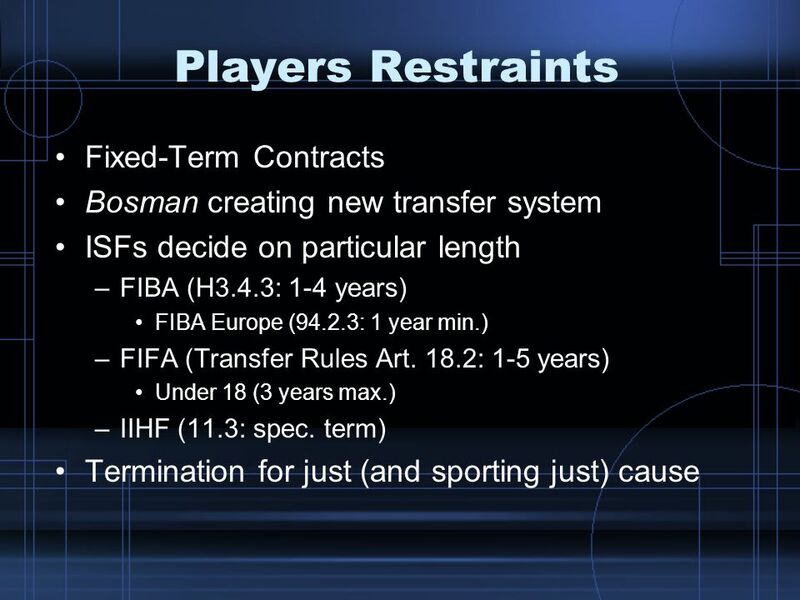 Critics argue that training compensation and the solidarity system employed by FIFA have already been dealt with by the European system of Juriprudence and were declared (via Bosman) to contravene competition rules, several human rights provisions, doctrine of restraint of trade and several member state statutes (Agbonjinmi 2004; Borer & Oschinski, 2003). Irving (2002): The system's main function was "to control player mobility and to prevent wealthier clubs from buying up all of the best players without compensating the original club." "This system required clubs to produce a list at the end of each season declaring which players they intended to retain for the following season and which players were available to transfer to another club." A player had no right to demand a transfer if his name was not on the transfer list. Additionally, selling teams set transfer fees for their available players, making a player's transfer even more difficult. Camatsos (2005): Under old EU transfer rules, players nearing the end of their contracts--which uniformly terminated on a fixed date--were entitled to be offered a new contract by their club before the relevant termination date. "If the player refused an offered contract, his club could place him on a 'compulsory' transfer list " Furthermore, "[a]n interested club could purchase the player from this list for a compensation fee for training." If no team expressed an interest in a particular player, then a period opened up where teams were free to negotiate an agreeable transfer fee. If no agreeable transfer fee was offered, then the player was reoffered his original contract. Players who refused these second offers were suspended. "Once suspended, the player had to either accept whatever offer his club might still make or sit out for two seasons, after which he could obtain a transfer without the club's consent (i.e., he could become a free agent)." 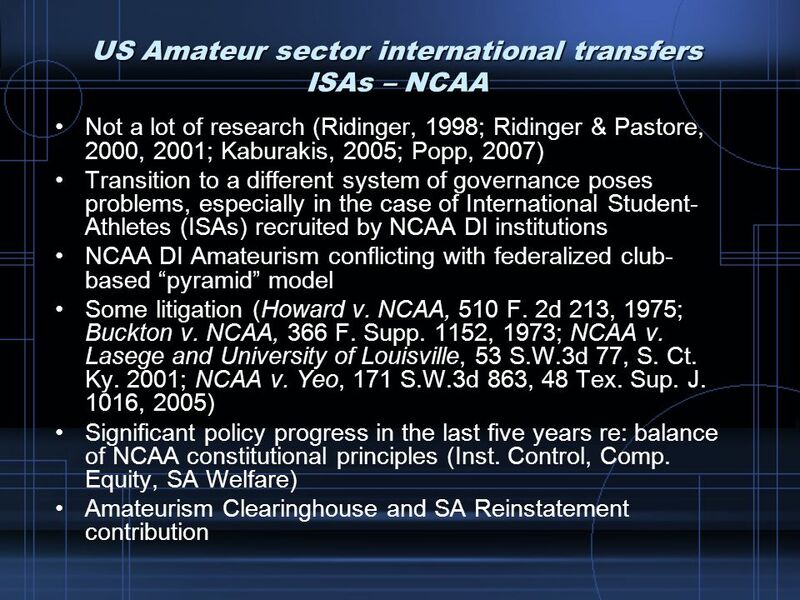 Camatsos (2005) features some severe criticism of the present transfer system (“toothless tiger”), i.e. anti-competitive, age-discriminatory, leading to clubs declaring bankruptcy in an era only the strong financially survive. Further, Camatsos (2005) brings up the situation of dependency upon TV contracts and media outlets; when these do not prove economically stable themselves, the clubs that were not very prudent and were depending on the TV revenue for their operations budget were in the red. 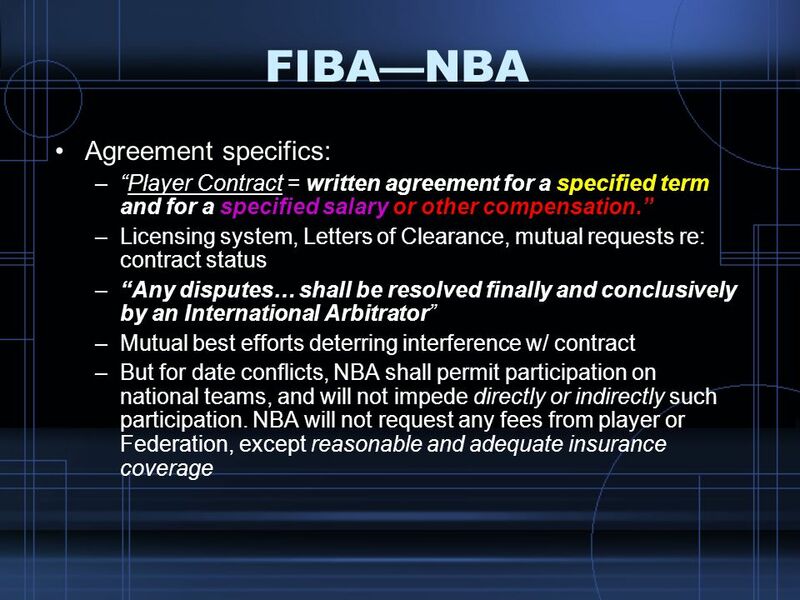 Thus, players would have to break their contracts searching for a team that could fulfill a similar contract, an effort which frequently is of no avail. “It will come a moment in which individuals will start to claim their rights under EC law for free movement and employment. 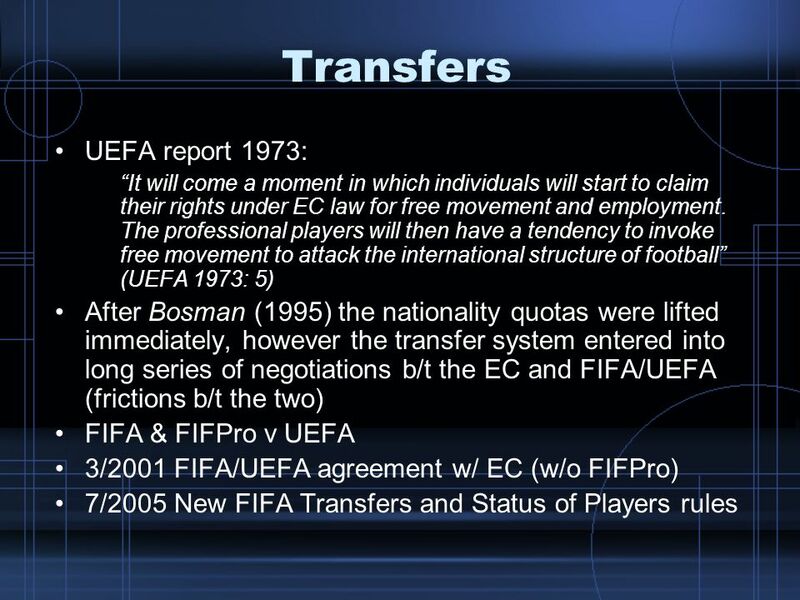 The professional players will then have a tendency to invoke free movement to attack the international structure of football” (UEFA 1973: 5) After Bosman (1995) the nationality quotas were lifted immediately, however the transfer system entered into long series of negotiations b/t the EC and FIFA/UEFA (frictions b/t the two) FIFA & FIFPro v UEFA 3/2001 FIFA/UEFA agreement w/ EC (w/o FIFPro) 7/2005 New FIFA Transfers and Status of Players rules Garcia (2007): The legality of the transfer system and the possible impact of European law on football regulations came to UEFA Executive Committee’s table in the early 1970s, when the European football confederation decided, in the view of the latest developments, to commission a report on the future of the transfer system to a panel of legal experts (UEFA 1973). The report, presented to the Executive Committee in December 1973, analysed the legal situation of the regulations relating to players’ contracts under the application of both national and European law. The report correctly identified nationality quotas and the transfer system as possible points of conflict with EC law (UEFA 1973: 29, 60) and it even warned, somehow prophetically, about possible threats to the status-quo in the future: It will come a moment in which individuals will start to claim their rights under EC law for free movement and employment. The professional players will then have a tendency to invoke free movement to attack the international structure of football (UEFA 1973: 5) However, the report went on to conclude that the transfer system was safe and it could resist challenges under European law (UEFA 1973: 70) and that national FAs from countries outside the EC had nothing to worry about the application of European law (UEFA 1973: 61). Only to be proven wrong in their legal analysis by the ECJ… Dona followed in 1976…. UEFA was able to get its way in the aftermath of Donà by convincing in 1978 commissioner D’Avignon that they were committed to lift progressively nationality quotas. However, it was not until 1991 that UEFA introduced the so-called 3+2 rules, allowing for a minimum of three non-selectable players to be fielded at the same time in any given game, plus two ‘assimilated players’. Garcia (2007) notes astonishing acquiescence by the EC and belief by UEFA that a gentleman’s agreement would resist EU Law scrutiny. Post Bosman (12/15/1995) …In a somehow naïve attempt to escape from the effects of the ruling, FIFA and UEFA published a joint statement on 22 December 1995 in which they declared their view that the Bosman ruling had no effect on European club competitions, as the clubs were representing their country; two days earlier UEFA had sent a letter to the European Commission requesting some time to study the consequences of the ruling (Hopquin 1995). The reluctance of UEFA and FIFA to accept the outcome of the judgment infuriated the Commission, which found in the ruling a new impetus to bring football into line with European law. The Commission took a proactive approach, with the Competition Policy DG and its commissioner, Karel van Miert, taking the leading role in the pursuit of football authorities. Van Miert warned that UEFA had to evolve ‘whether they like it or not’ (quoted in Hopquin 1995). …The international transfer system, which was regulated by FIFA rather than by UEFA, took longer to be transformed, though. It was in the negotiations between the Commission and FIFA to enforce the Bosman ruling in respect to the transfer system when UEFA emerged as a broker of the agreement. All UEFA officials interviewed in Garcia’s (2007) research, without exception, have heralded the negotiations on the reform of the international transfer system as one of the most important turning points in the organisation’s relationship with the EU. 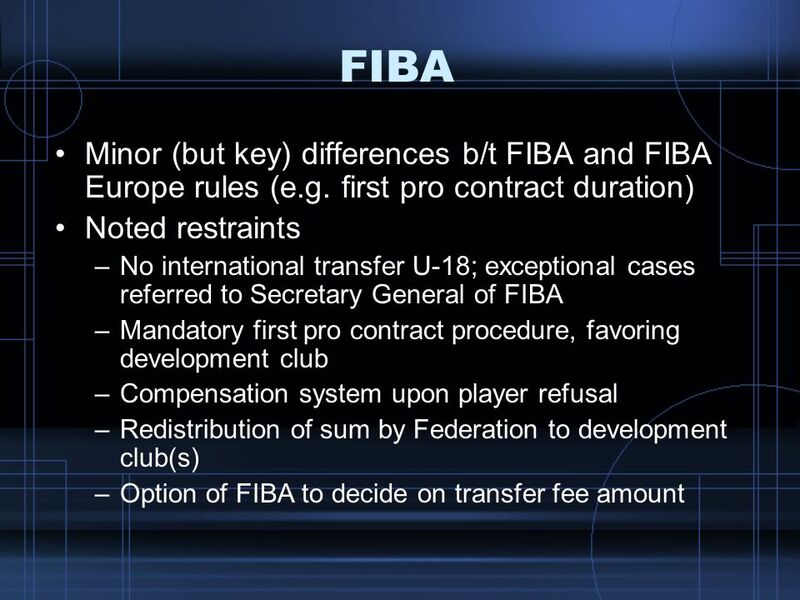 Enable a club to acquire a player w/i set time by paying stipulated transfer fee Rights of preference (preemption rights) Enable a club to acquire a player only if the club that holds the rights decides to transfer the player. 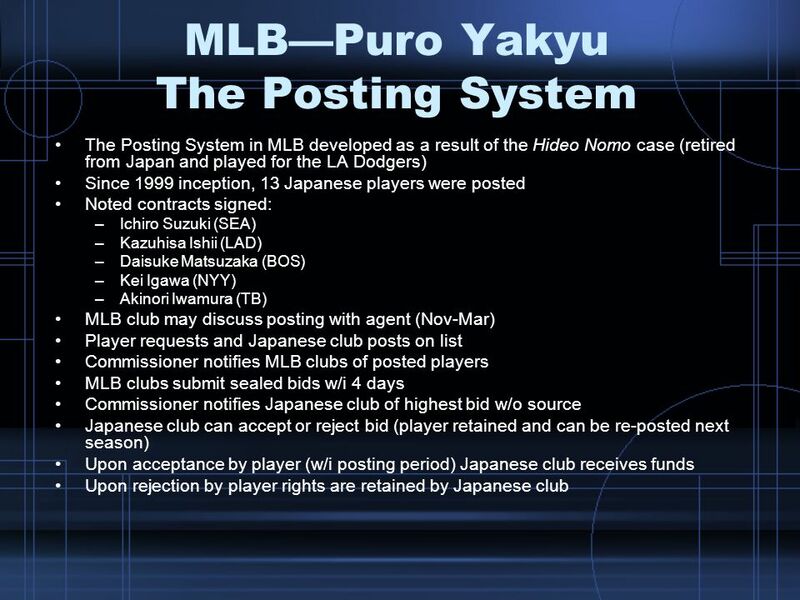 May allow interested club to obtain a preference over other clubs at point of decision by the transferring club. The practice requires more than matching rival offers; other conditions apply (see Real Madrid & F.C. 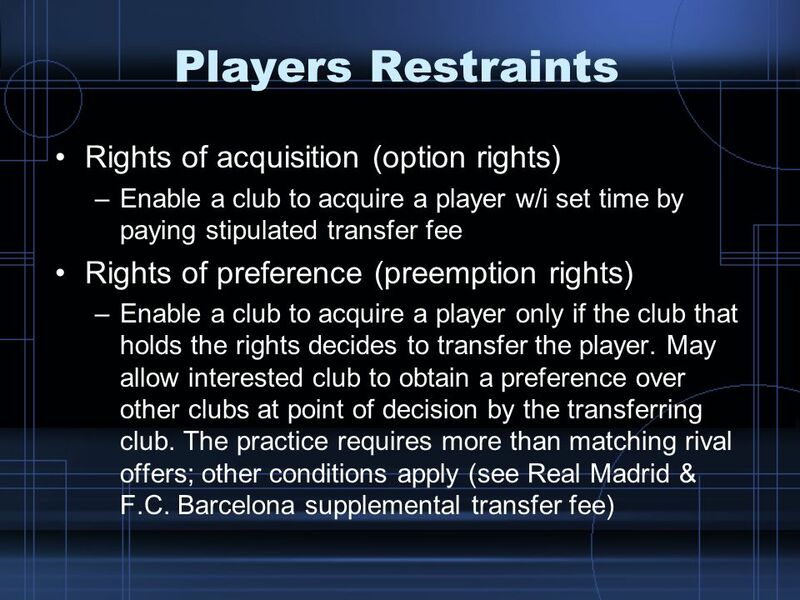 Barcelona supplemental transfer fee) Capdevilla (2004) notes that rights of acquisition (option rights) and rights of preference (preemption rights) are often exercised to acquire the services of professional sportsmen (sic). Option rights enable a club to acquire, within the period of time set, the services of a player by paying the previously stipulated transfer fee. Whether the option is exercised is generally determined by the development of the player and the finances of the purchasing club. Preemption rights, on the other hand, enable a club to acquire a player only if the club that holds the rights to that player decides to transfer him. Preemption rights therefore confer only a right of preference. There have been many cases in which a club, faced with the refusal of a rival club to sell a player in whose services it is interested, has succeeded in obtaining a preference over other clubs if and when the rival club eventually decides to sell. The legal framework governing option rights and preemption rights was drawn up to regulate the transfer of material objects such as flats. This legal framework therefore needs to be adapted if these rights are to be used to contract sportsmen. The two most important changes needed are: 1. The effectiveness of the right requires more than an agreement between the buying club and the selling club. It also requires the consent of the “object” of the contract i.e. the sportsman (sic). An option right or a preemption right will not be enforceable if it does not enjoy the consent of the sportsman concerned when it is constituted. 2. The exercise of a preemption right also requires more than simply equaling the financial offer of a third party: all the conditions offered by the third party should be equaled. This situation was highlighted this summer in the so-called “Eto’o case”. Real Madrid had a pre-emption right for the player and intended to exercise it simply by equaling the financial offer from FC Barcelona without offering the player the chance to play in their first team. The player disagreed and threatened to go to court if the preemption was exercised and he was not given a squad number. The conclusion to this exciting case from the legal point of view was a financial agreement between FC Barcelona and Real Madrid in accordance with which FC Barcelona paid Real Madrid a financial supplement in exchange for the “galactic” club’s agreement not to exercise their preemption right. These problems could be avoided if the requirements of the preemption right were clearly stipulated when it was constituted. 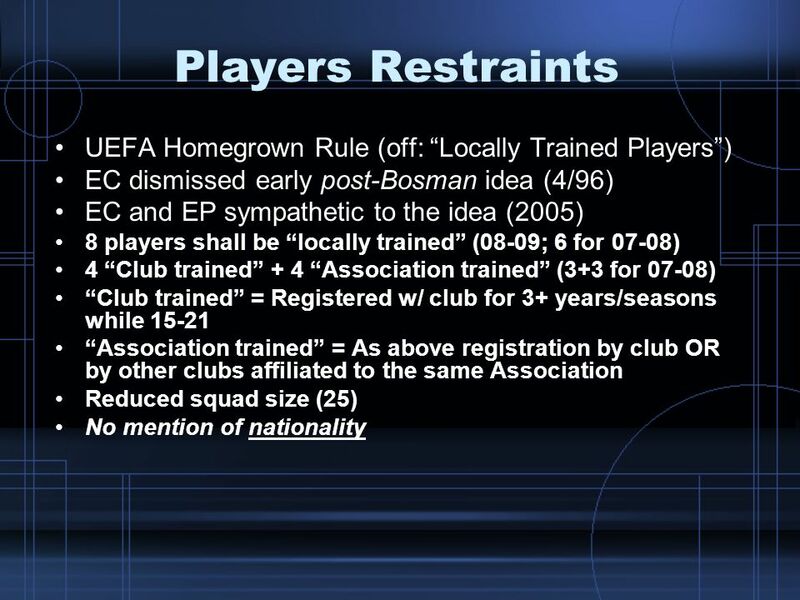 40 Players Restraints UEFA Homegrown Rule (off: “Locally Trained Players”) EC dismissed early post-Bosman idea (4/96) EC and EP sympathetic to the idea (2005) 8 players shall be “locally trained” (08-09; 6 for 07-08) 4 “Club trained” + 4 “Association trained” (3+3 for 07-08) “Club trained” = Registered w/ club for 3+ years/seasons while 15-21 “Association trained” = As above registration by club OR by other clubs affiliated to the same Association Reduced squad size (25) No mention of nationality TMC Asser Institute (2005); From the season on four “home grown players” must be included in squads for European club games – at least two trained by a club’s own academy with a further two developed by other clubs within the same association. Until the season 2008/2009 the minimum number of home grown players will be raised to eight. The term “home grown” does not refer to the players’ nationality but means all talents trained and educated between the ages of 15 and 21; UEFA believes that it avoids any conflict with EU law, in particular the freedom of movement. Besides the fact that there are practical concerns – some clubs and leagues fear that a “hunt” for (even) younger talents will break off in Europe – there are also legal implications. From an EU perspective the starting point for possible legal implications is the fact that the proposed rule would indirectly discriminate foreign nationals. Hence, it is quite obvious that most of the “home grown” players would be nationals of the specific state and not foreigners. 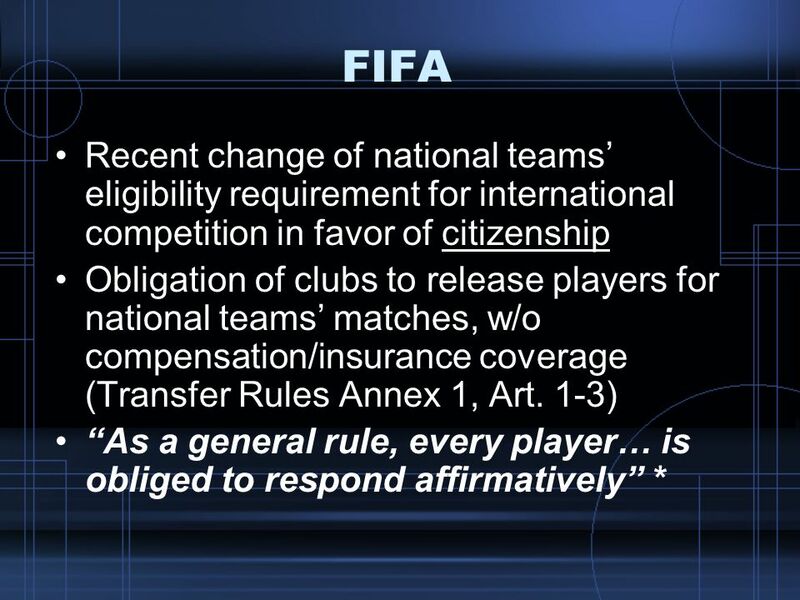 The proposed rule would indirectly discriminate foreigners, making it more difficult for foreign players to transfer to a country where they were not trained and educated. On the matter, Martins (2007) holds that the rule may fall under ‘indirect discrimination’ of Art. 39 EC Treaty based on nationality criteria. He thinks it too will not be found compatible with EU Law. Less restrictive means would be applicable and regardless, such rules do not really create a level playing field. …It is therefore clear that it will be very difficult for UEFA to introduce the home grown player rule in the current legal framework in which professional football currently finds itself. 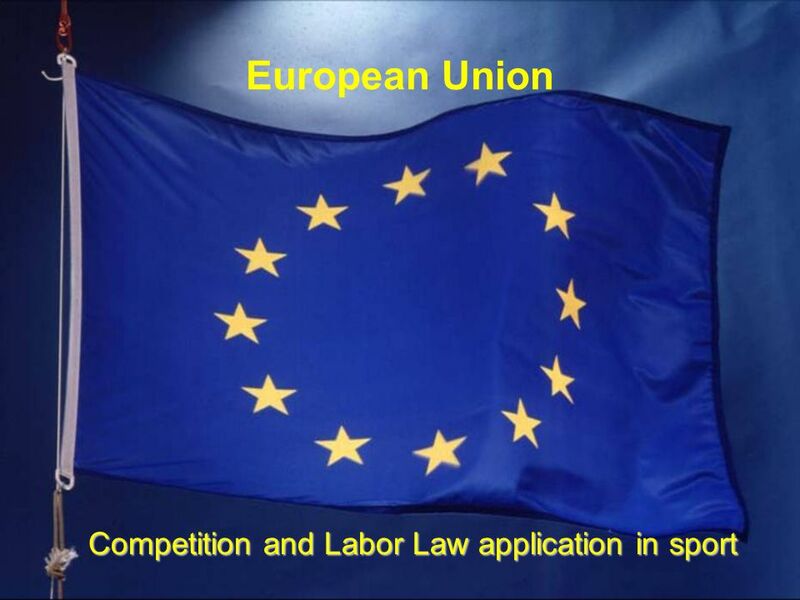 Hence, professional football is an economic activity thus EU law is fully applicable. On the other hand, a possible justification is that UEFA intends to introduce the home grown player rule to preserve a “level playing field”. Because if clubs are not allowed to “buy” the best players because they cannot let them play under the new regulations, the starting point for the collective of clubs would be more “fair” due to the fact that the clubs could try to get the most out of their talents. The preservation of a level playing field is a legitimate goal, but in order to preserve a level playing field an assessment of the current situation is needed. + Work Permits… Garcia (2007): UEFA was smart enough not to close the door that opened with the negotiations on the international transfer system. UEFA has cultivated since then the contacts with different Commission’s DGs, the European Parliament and the national governments. UEFA has also evolved as an organisation, up to the point of being now happy to proactively engage with the European Union in policies other than football, such as fight against racism or programs against obesity (UEFA 2007: 2-3; Interview 29: Nyon (Switzerland), 8 February 2007). The EU is now increasingly seen as a ‘long-term strategic partner for UEFA’ (Interview 5: Brussels, 16 May 2006). In that frame of mind, UEFA senior officials started to think around late 2003/early 2004 on the possibility of making a strong political case for a rule that would encourage football clubs to actively train new young talents. …There is no total legal certainty about the legality of the rules vis-à-vis European law. Indeed, it has been argued that the rules could be considered an unjustified obstacle to the freedom of movement for workers, hence failing to comply with article 39 EC (Miettinen and Parrish 2007)… Political support does not buy, at least for the moment, exemption from EC law. 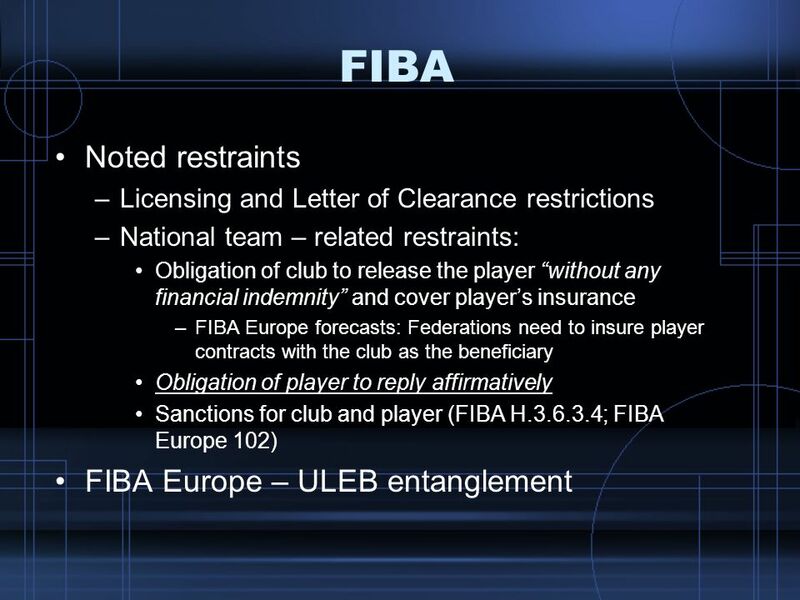 Licensing and Letter of Clearance restrictions National team – related restraints: Obligation of club to release the player “without any financial indemnity” and cover player’s insurance FIBA Europe forecasts: Federations need to insure player contracts with the club as the beneficiary Obligation of player to reply affirmatively Sanctions for club and player (FIBA H ; FIBA Europe 102) FIBA Europe – ULEB entanglement FIBA Players’ Union: UBE ( FIBA ADR: FAT ( w/ Appeals to CAS *According to Pantelis Dedes (2000, updated 2007), ULEB players during times of split European Club Basketball Championships (FIBA v ULEB, , FIBA Europe & ULEB agreement on 11/3/2004) were not governed by the FIBA/NBA agreement but could be drafted and/or signed as free agents (Tsakalidis case +// contractual matter, no unilateral renewal). 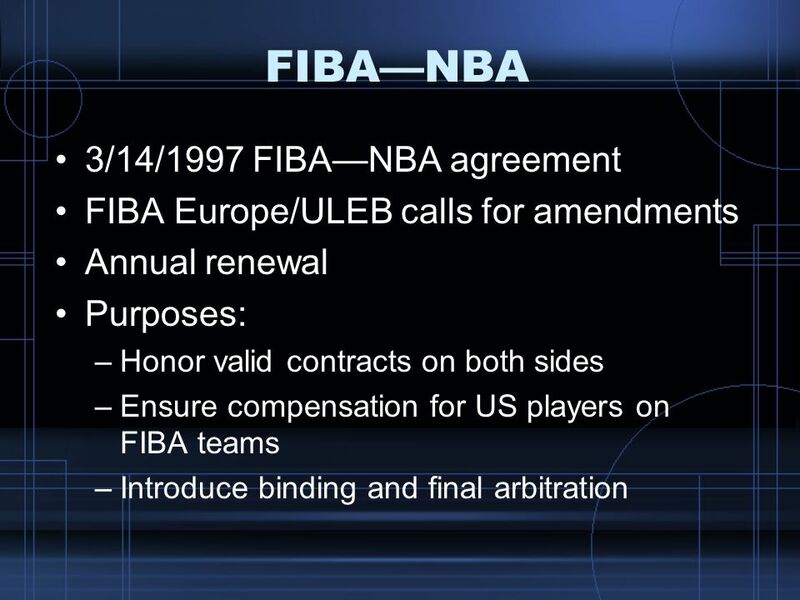 FIBA Europe/ULEB calls for amendments Annual renewal Purposes: Honor valid contracts on both sides Ensure compensation for US players on FIBA teams Introduce binding and final arbitration ARTICLE X: PLAYER ELIGIBILITY AND NBA DRAFT Yi Jianlian – Milwaukee Bucks case… The Bucks signed Yi, the No. 6 pick of the NBA draft, on Wednesday in Hong Kong to a rookie scale contract. The club also gave his former team, the Guangdong Tigers, money in the deal, but declined to discuss details. 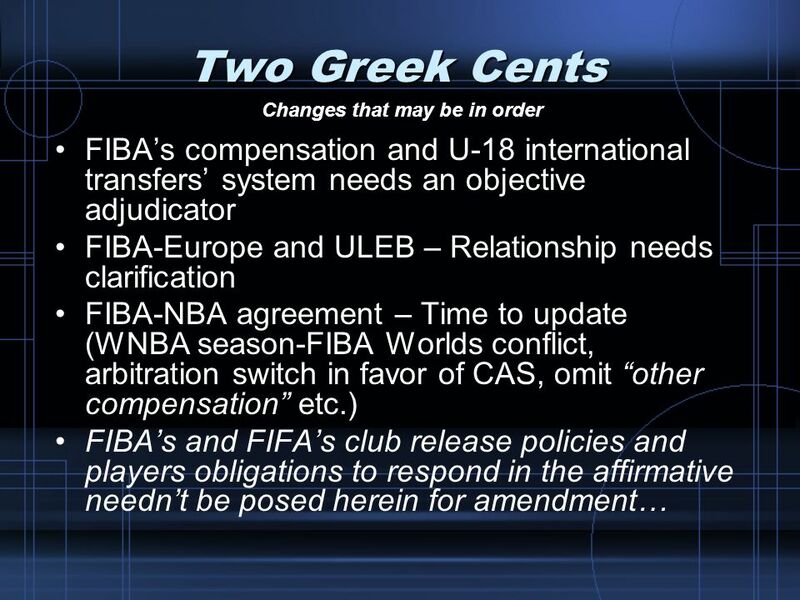 WNBA twist: Could be argued that Euros have the advantage over US players according to Art. 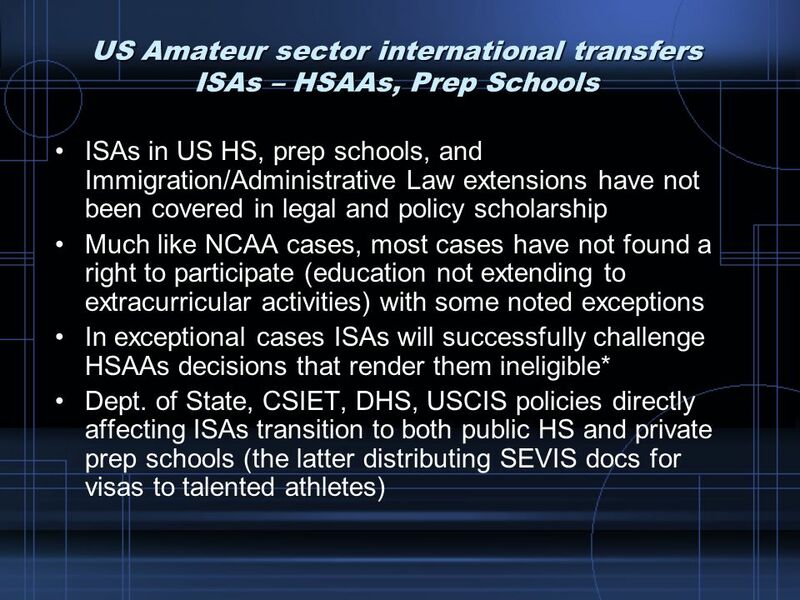 XII, § 1 (c), eligible to be drafted if they have a contract for two years and are 20+, as opposed to 22 and/or graduated from US College/Uni. Belgian Commercial Court referred Q to ECJ: Do obligations of clubs to release players w/o compensation and the Unilateral and binding determination of international matches calendar Constitute unlawful restrictions of competition Abuses of a dominant position or Obstacles to the exercise of fundamental freedoms (per EC Treaty Art. 39, 49, 81, and 82)? 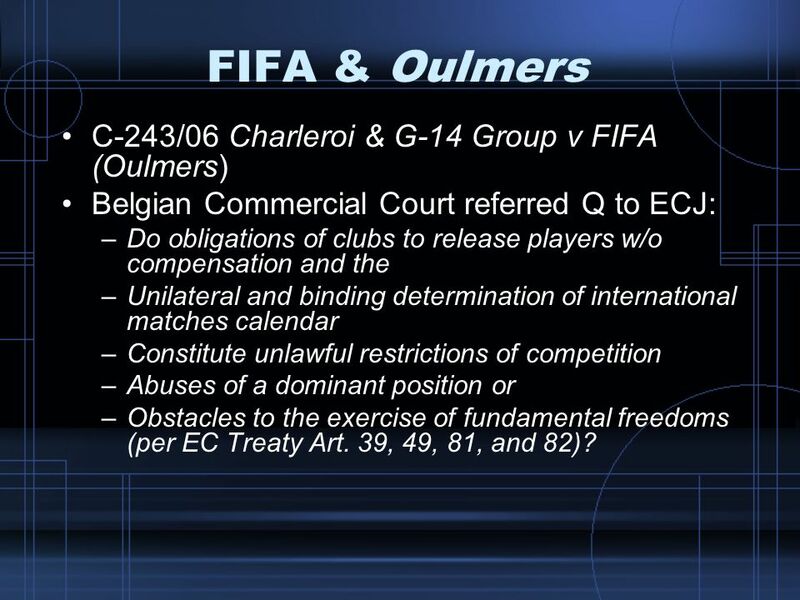 C-243/06 SA Sporting du Pays de Charleroi, G-14 Groupment des clubs de football européens v Fédération internationale de football association (FIFA) – (Oulmers) Weatherill (2005) and Parrish (2006) lean toward a position that would see EC Competition Law applicable in the present situation w/o clubs consultation and representation, let alone compensation. According to Parrish (2005) in correspondence, “a rule imposed on participants without the opportunity for genuine participation from the stakeholders is more likely to be considered an abuse of a dominant position.” Further, Weatherill points out in his 2005 contribution that “the pyramid is currently too big - that too many decisions with direct and substantial commercial implications are taken by sports federations who disallow input from the clubs who are intimately affected by those decisions. Litigation is an unpredictable art, and there are plenty of subtle tactics that may be employed by both federations and clubs to get what they want without formal change or challenge, but there is in principle rich potential for EC law to be used to provoke a fresh process of change if not revolution in European sport and, in particular, to reduce the size of the pyramid.” The past two years this subject has received a lot of coverage among academic circles. A vast majority believes that such FIFA/UEFA policy and intransigence truly goes beyond what is necessary to achieve the goals pursued. 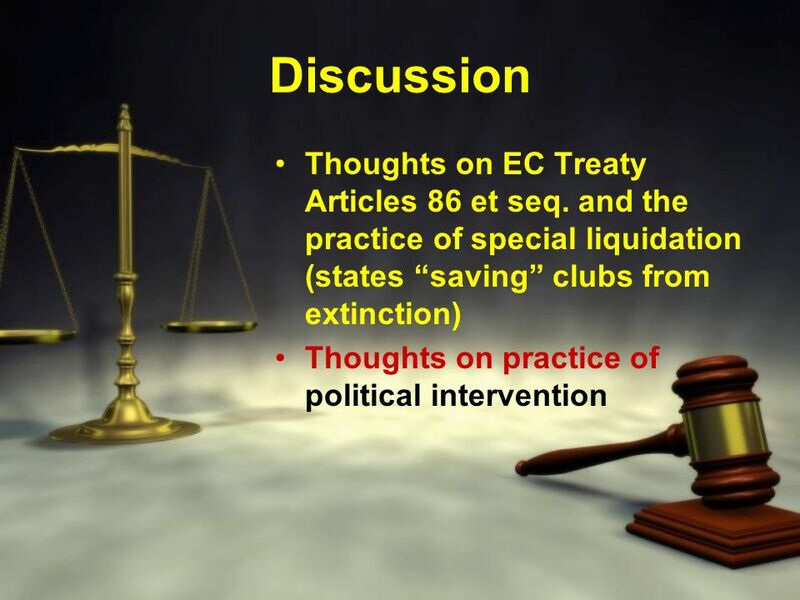 The study at hand sides with the arguments of Weatherill (2005), Parrish (2006), and Martins (2007) in regard to the necessity and significance of dialogue and some flexible negotiations, a fundamental form of lawyering in a sense, to preserve the classic pyramid structure in the EU, at the same time giving clubs a voice, via democratic and lawful means respecting bedrock EU principles. Thus, one may presume that with even a minor concession on the part of FIFA/UEFA per compensation and insurance coverage with the national team players’ clubs as the beneficiaries, the Pyramid will be conserved. Admittedly, for some Federations the burden will be formidable due to their financial hardship; however, as with current solidarity fees and transfer funds, there are ways to boost their prowess and ability to deal with such a reasonable, in contemporary law and policy terms, obligation. Otherwise, the rapidly expanding, gaining political next to its financial power, G14 may wish to take the obvious next step of organising a break-away league, the new form of the Champions’ League, after the example of ULEB in European Basketball. Even a few months/weeks from the decision of the Oulmers case by the ECJ, the outcome appears unknown. There may have been tremendous progress in the relations b/t UEFA/FIFA and the EC; nonetheless, there is more work to be done, to revamp a somewhat outdated system of governance respecting contemporary EU Law. 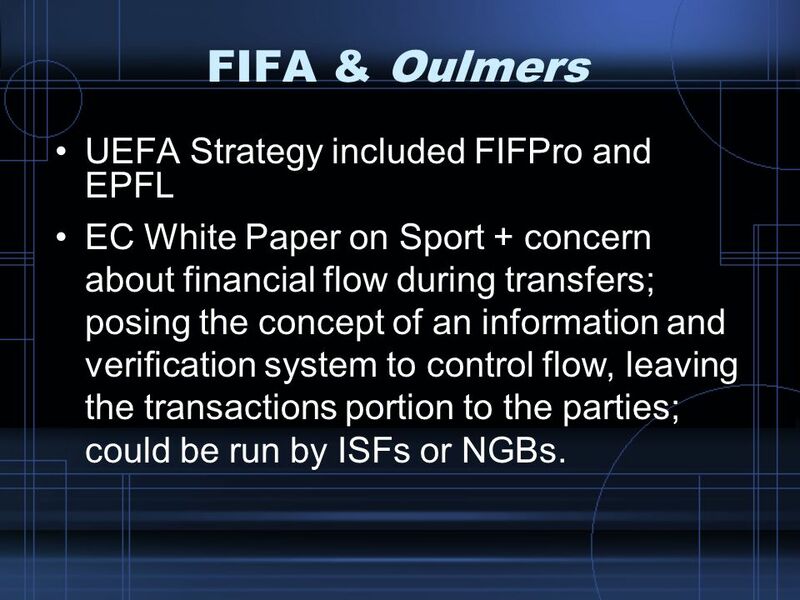 EC White Paper on Sport + concern about financial flow during transfers; posing the concept of an information and verification system to control flow, leaving the transactions portion to the parties; could be run by ISFs or NGBs. EC (2007) WP p 15: The transfer of players also gives rise to concerns about the legality of the financial flows involved. To increase transparency in money flows related to transfers, an information and verification system for transfers could be an effective solution. The Commission considers that such a system should only have a control function; financial transactions should be conducted directly between the parties involved. Depending on the sport, the system could be run by the relevant European sport organisation, or by national information and verification. Parrish (2007): The EC Treaty facilitate(s) sectoral social dialogue on issues pertaining to the employment relationship between clubs and players. This could include contractual terms, transfer windows, the transfer system, salary capping, image rights, pension funds and doping rules. Social dialogue can be conceptualised not only as a tool for improving labour relations, but also as a new form of international governance and it is in this context that UEFA wish to take control of the process by establishing the Professional Football Strategy Council as an alternative to a formal sectoral social dialogue committee… Employment relations issues should not be confused with wider issues of sports governance in which only a governing body is able to take a holistic approach. This concern reveals a deeper strategic objection based on a suspicion of the motives of the social partners. The implication is that the social partners are not so concerned with improving the employment conditions of an already cosseted category of worker, but are motivated by a desire to exercise greater influence within football in order to control the wealth generated from it. This contrasts with the role of a governing body who exercise commercial functions in order to redistribute wealth for ‘the good of the game’. In this connection, the European model of sport invests considerable regulatory authority in governing bodies. 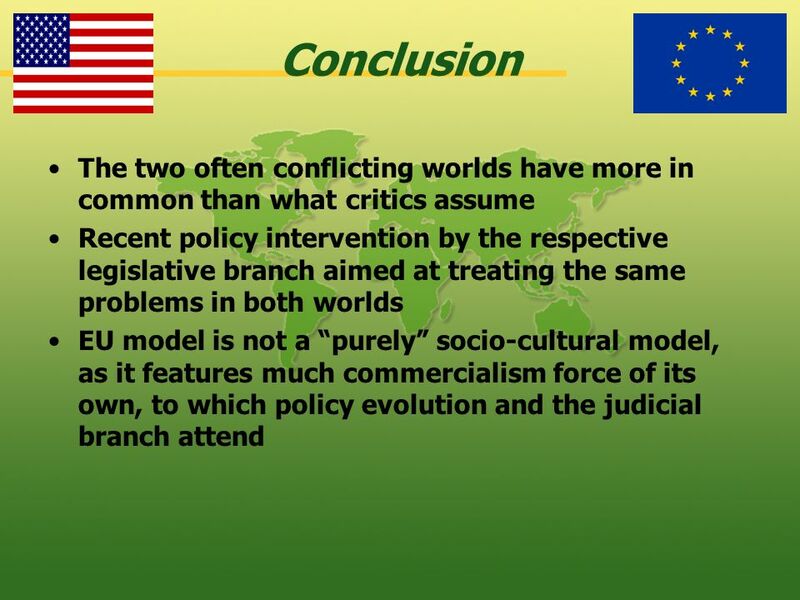 If social partners are able to assume a legislative competence within this model, this will substantially alter the vertical channels of authority which have traditionally been a feature of the European model. 52 FIFA Contract duration: 1 season – 5 years, except as permitted by national law (Transfer Rules Art. 18.2) Under 18 (3 years max.) 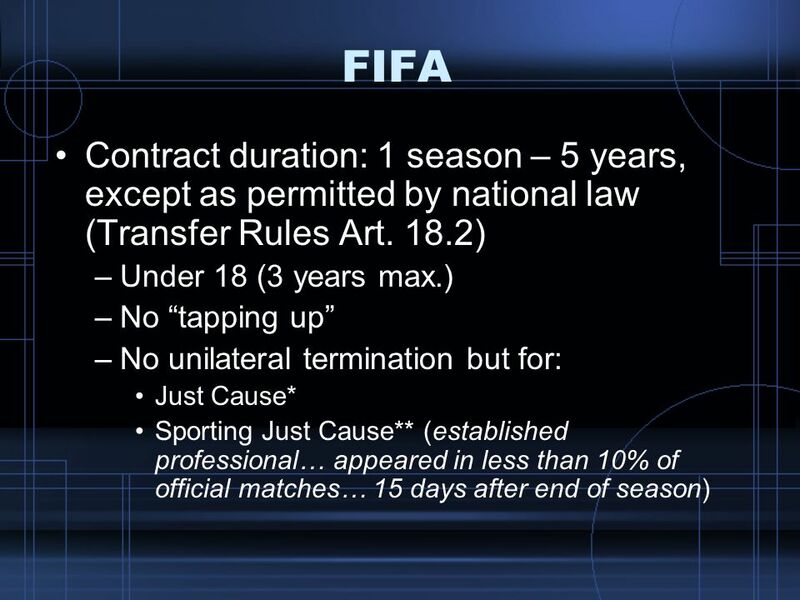 No “tapping up” No unilateral termination but for: Just Cause* Sporting Just Cause** (established professional… appeared in less than 10% of official matches… 15 days after end of season) For the calculation of compensation due in the event of termination without just cause, art. 17 par. 1 states that the maximum period to take into account is five years. In other words, if the parties have agreed to sign a contract exceeding five years, in the event of a termination without just cause, only the period up to the fifth year would be relevant when establishing the compensation due. In order to safeguard the interests of young players and not hinder their progress through an excessive tie to a club, players who have not reached their eighteenth birthday may not sign a contract for a term longer than three years. Any clauses signed for a longer period are not recognised by the football authorities. If a contract is signed for longer than three years, only the first three years of the contract are to be considered. After the end of the third year, the player is free to leave the club unless he explicitly or de facto accepts the extension. + no “Tapping up” (Art. 17 & 18.3 Transfer Rules and Art. 14C FIFA Agents’ Rules); also see Parrish (2007) p. 39 *Under normal circumstances, only a few weeks’ delay in paying a salary would not justify the termination of an employment contract. (cf on Art. 14, pt. 3, fn 62, p 39) ** Being entitled to claim sporting just cause in accordance with the above conditions does not automatically mean that sporting just cause has been established. Sporting just cause must always be established by the Dispute Resolution Chamber (DRC). (cf on art. 15, pt. 1. fn 65, p 41) “Established” is a player who has terminated and completed his training period. Furthermore, his level of footballing skill is at least equal to or even superior to those of his team-mates who appear regularly. “Appearance” is to be understood as being fielded and thus actively taking part in a game. In this respect, it is not the number of appearances in games but the minutes effectively played therein that is relevant. (cf on art. 15, pts. 2 & 3. fn 66, p 42) Case by Case evaluation… The DRC as the first-instance body and the Court of Arbitration for Sport (CAS) as the body of appeal. 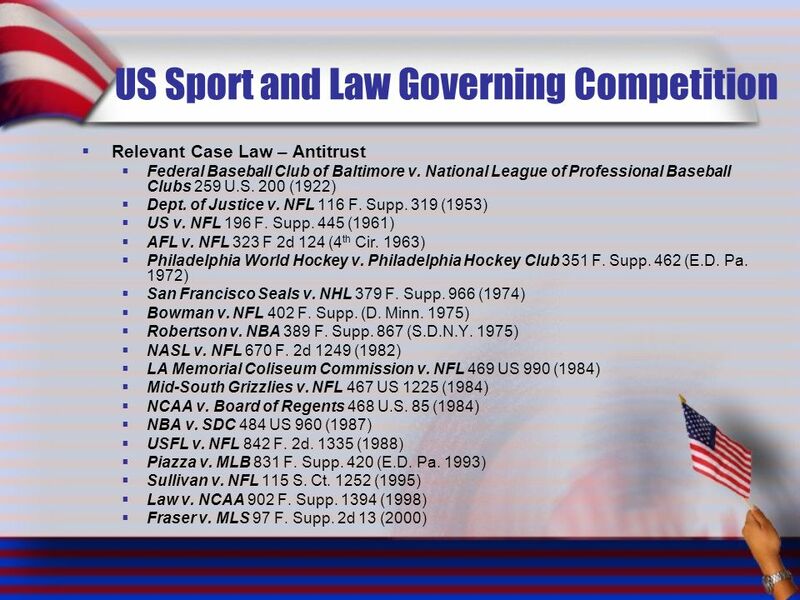 So far, there is no jurisprudence related to sporting just cause. 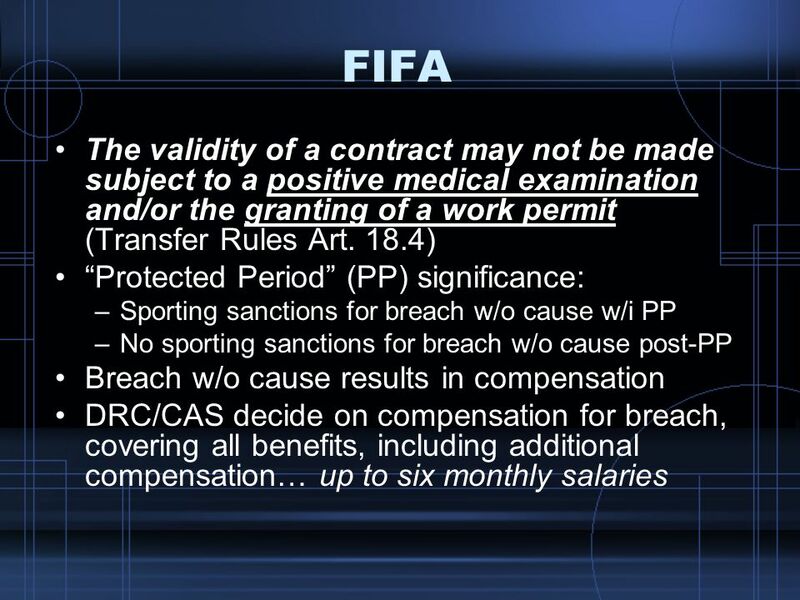 53 FIFA The validity of a contract may not be made subject to a positive medical examination and/or the granting of a work permit (Transfer Rules Art. 18.4) “Protected Period” (PP) significance: Sporting sanctions for breach w/o cause w/i PP No sporting sanctions for breach w/o cause post-PP Breach w/o cause results in compensation DRC/CAS decide on compensation for breach, covering all benefits, including additional compensation… up to six monthly salaries Any such conditions that are included in a contract are not recognised and the contract is still valid without this clause. In other words, this means that the new club’s failure to respect the contract represents an unconditional breach of contract without just cause. The player’s prospective club is therefore required to undertake all necessary research and to take all appropriate steps before concluding a contract. Once a contract has been signed, all parties involved can rely in good faith on it being respected and enforced. Protected Period: a period of three entire Seasons or three years, whichever comes first, following the entry into force of a contract, if such contract was concluded prior to the 28th birthday of the Professional, or to a period of two entire Seasons or two years, whichever comes first, following the entry into force of a contract, if such contract was concluded after the 28th birthday of the Professional. Unilateral breach without just cause or sporting just cause after the Protected Period will not result in sporting sanctions. Disciplinary measures may, however, be imposed outside of the Protected Period for failure to give due notice of termination (i.e. within fifteen days following the last match of the Season). Transfer Rules Art. 17.4: In addition to the obligation to pay compensation, sporting sanctions shall be imposed on any club found to be in breach of contract or found to be inducing a breach of contract during the Protected Period. It shall be presumed, unless established to the contrary, that any club signing a Professional who has terminated his contract without just cause has induced that Professional to commit a breach. The club shall be banned from registering any new players, either nationally or internationally, for two Registration Periods. 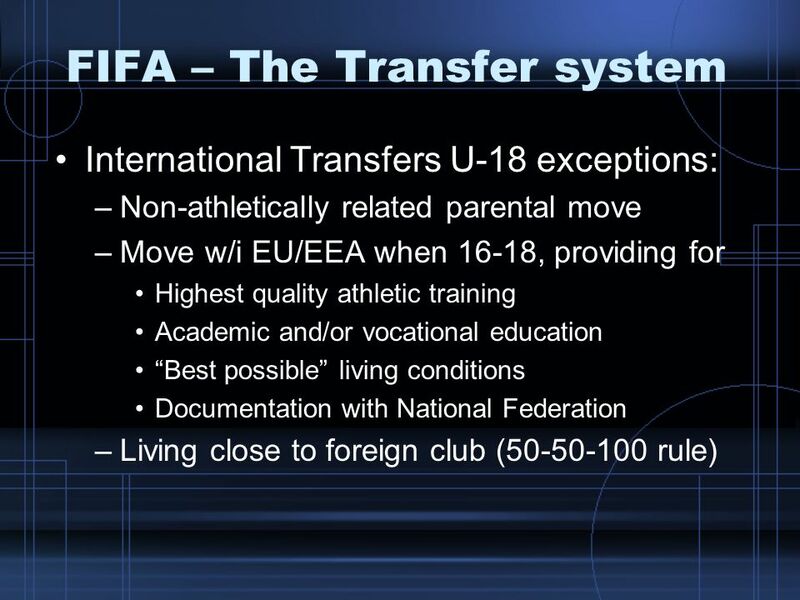 International Transfers U-18 exceptions: Non-athletically related parental move Move w/i EU/EEA when 16-18, providing for Highest quality athletic training Academic and/or vocational education “Best possible” living conditions Documentation with National Federation Living close to foreign club ( rule) Players below the age of 18 who move to a country of which they are not nationals can only apply for their first registration if one of the above three exceptions applies, otherwise they need to wait until they reach the age of 18. Youngsters born in a foreign country or those who have lived there for a significant part of their life should be excluded from this rule and should be considered as nationals from a sporting point of view. The Players’ Status Committee decides on disputes related to the transfer of minors and imposes appropriate sanctions if the provisions of this article are violated. 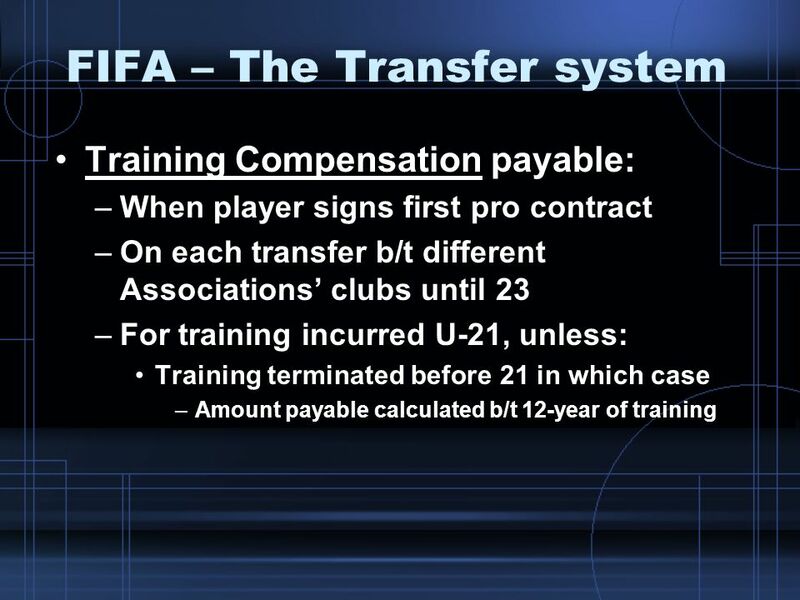 Training Compensation payable: When player signs first pro contract On each transfer b/t different Associations’ clubs until 23 For training incurred U-21, unless: Training terminated before 21 in which case Amount payable calculated b/t 12-year of training Training Compensation shall be paid to a player’s training club(s): (1) when a player signs his first contract as a Professional, and (2) on each transfer of a Professional until the end of the Season of his 23rd birthday. The obligation to pay Training Compensation arises whether the transfer takes place during or at the end of the player’s contract. The provisions concerning Training Compensation are set out in annex 4 of these Regulations. 1. A player’s training and education takes place between the ages of 12 and 23. Training Compensation shall be payable, as a general rule, up to the age of 23 for training incurred up to the age of 21, unless it is evident that a player has already terminated his training period before the age of 21. In the latter case, Training Compensation shall be payable until the end of the Season in which the player reaches the age of 23, but the calculation of the amount payable shall be based on the years between 12 and the age when it is established that the player actually completed his training. 2. The obligation to pay Training Compensation is without prejudice to any obligation to pay compensation for breach of contract. 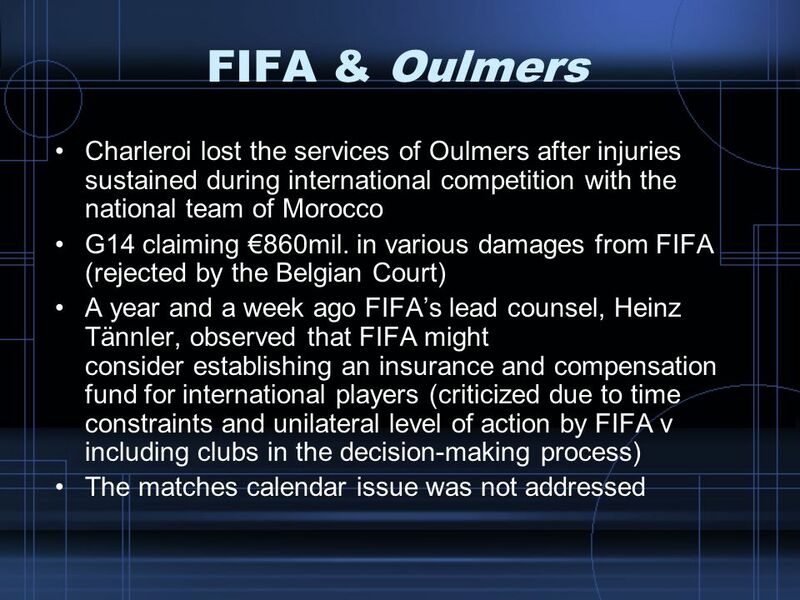 Training compensation in accordance with the FIFA regulations applies only in the event of an international transfer. For national transfers, the system enforced by the relevant association applies in accordance with art. 1 par. 2. 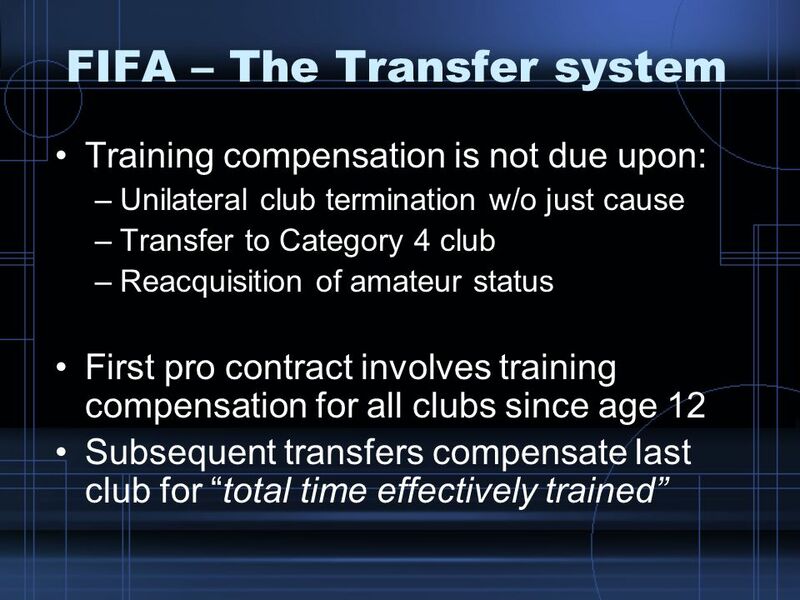 Training compensation is not due upon: Unilateral club termination w/o just cause Transfer to Category 4 club Reacquisition of amateur status First pro contract involves training compensation for all clubs since age 12 Subsequent transfers compensate last club for “total time effectively trained” Training Compensation is due: i) when a player is registered for the first time as a Professional; or, ii) when a Professional is transferred between clubs of two different Associations (whether during or at the end of his contract) before the end of the Season of his 23rd birthday. Training Compensation is not due: i) if the Former Club terminates the player’s contract without just cause (without prejudice to the rights of the previous clubs); or ii) if the player is transferred to a Category 4 club; or iii) if a Professional reacquires Amateur status on being transferred. CAS 2004/A/560: only the precise period during which a player was effectively trained by a club must be taken into consideration. In other words, this means that to calculate training compensation, it is not only entire seasons that are to be taken into account. CAS 2004/A/560: the panel agreed with the opinion of the DRC, according to which a club that has trained a player as an amateur for a certain period of time before concluding an employment contract with him shall be compensated for the entire time that it trained the player and not only for the time it trained him as a professional. Training costs are set for each Association club category (up to 4) Costs correspond to amount needed to train each player annually, multiplied by an avg. 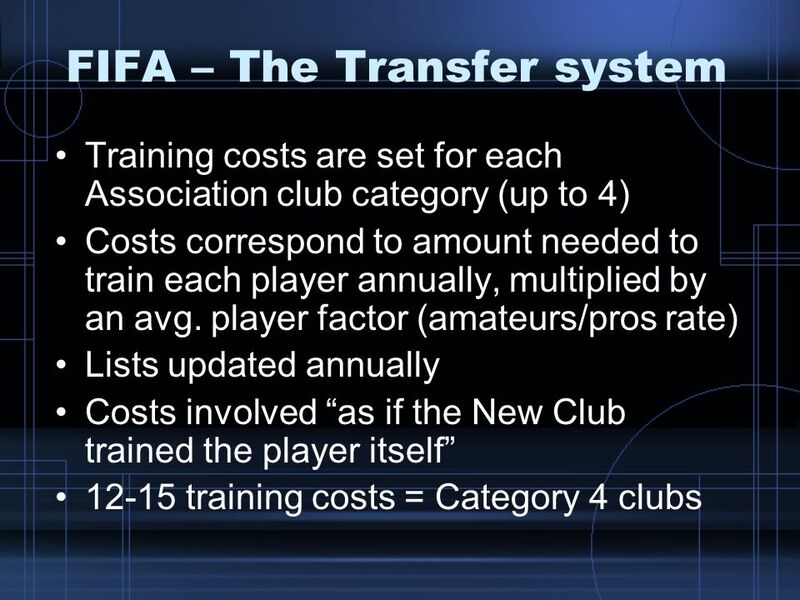 player factor (amateurs/pros rate) Lists updated annually Costs involved “as if the New Club trained the player itself” 12-15 training costs = Category 4 clubs (ANNEX 4) Article 5 Calculation of Training Compensation 1. As a general rule, to calculate the Training Compensation due to a player’s Former Club(s), it is necessary to take the costs that would have been incurred by the New Club if it had trained the player itself. 2. Accordingly, the first time a player registers as a Professional, the Training Compensation payable is calculated by taking the training costs of the New Club multiplied by the number of years of training in principle from the Season of the player‘s 12th birthday to the Season of his 21st birthday. In the case of subsequent transfers, Training Compensation is calculated based on the training costs of the New Club multiplied by the number of years of training with the Former Club. 3. 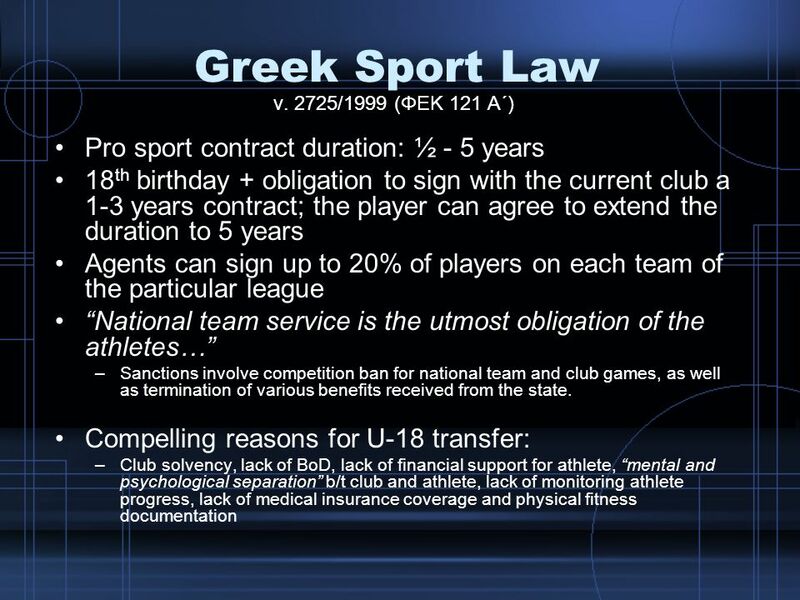 To ensure that Training Compensation for very young players is not set at unreasonably high levels, the training costs for players for the Seasons between their 12th and 15th birthday (i.e. four Seasons) shall be based on the training and education costs for category 4 clubs. 4. The Dispute Resolution Chamber may review disputes concerning the amount of Training Compensation payable and shall have discretion to adjust this amount if it is clearly disproportionate to the case under review. ANNEX 4 Article 6 Special EU/EEA Provisions 1. For players moving from one Association to another inside the territory of the EU/EEA, the amount of Training Compensation payable shall be established based on the following: a) If the player moves from a lower to a higher category club, the calculation shall be based on the average of the training costs of the two clubs. b) If the player moves from a higher to a lower category, the calculation shall be based on the training costs of the lower category club. 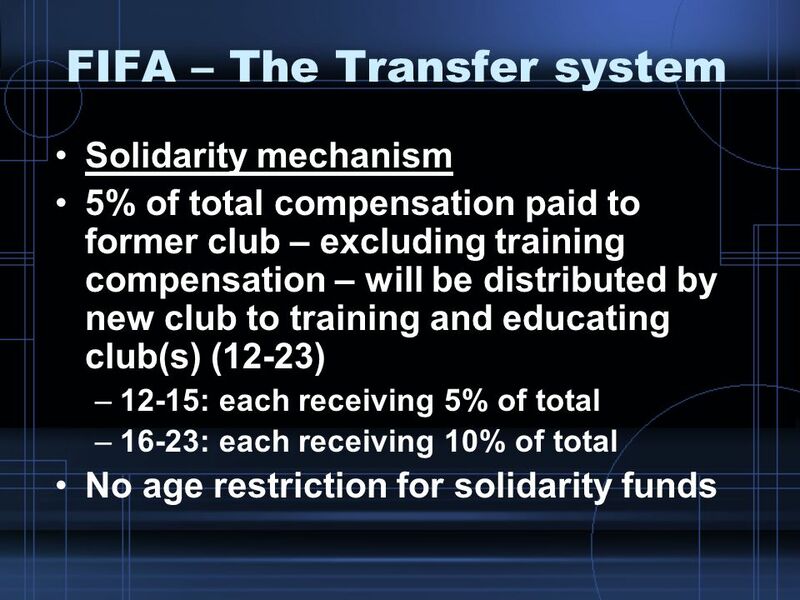 Solidarity mechanism 5% of total compensation paid to former club – excluding training compensation – will be distributed by new club to training and educating club(s) (12-23) 12-15: each receiving 5% of total 16-23: each receiving 10% of total No age restriction for solidarity funds The provisions on solidarity contribution apply only in the event of a player transferring from a club affiliated to one association to another club affiliated to another association (i.e. international transfers). If the player transfers between two clubs affiliated to the same association, the solidarity contribution is not applicable unless the association concerned has included a clear clause in its own regulations, acknowledging the obligation to pay a solidarity contribution as a consequence of domestic transfers. If a player who is younger than 23 transfers during the validity of his employment contract and a solidarity contribution is payable to his former training clubs, the total deduction from the transfer compensation will be less than 5%. For every year that the player is younger than 23, 0.5% shall be deducted from 5% e.g. : for a player who is in the season of his 21st birthday, the relevant percentage will be 80% of 5%, i.e. 4% of the compensation paid for the transfer of the player. A solidarity contribution is payable throughout the entire career of the professional as long as transfer compensation is paid by the new club to the former club of the player. Martins (2007): On Solidarity Payments, the most striking difference (v. TC) is that payment is due only upon transfer during a running contract (i.e. where there is a ‘profit’). Appears as it would be most abiding with EU Law, however these payments are due no matter the age of the player… Also, it appears that the price of the player will be always raised by 5%. Additionally, both SP and TC payments can coincide… RBM believes that such a double restriction would not survive ECJ scrutiny. In conclusion, RBM identifies three grounds for free movement infringement: a) Issues connected to termination (SP and TC, registration rights) and transfer. b) third-country nationals (even EU nationals in Holland) and EU nationals (no level-playing field) c) employees’ interests (i.e. amateur sample, exploitation). RBM believes in Social Dialogue (and CBA). Appx. 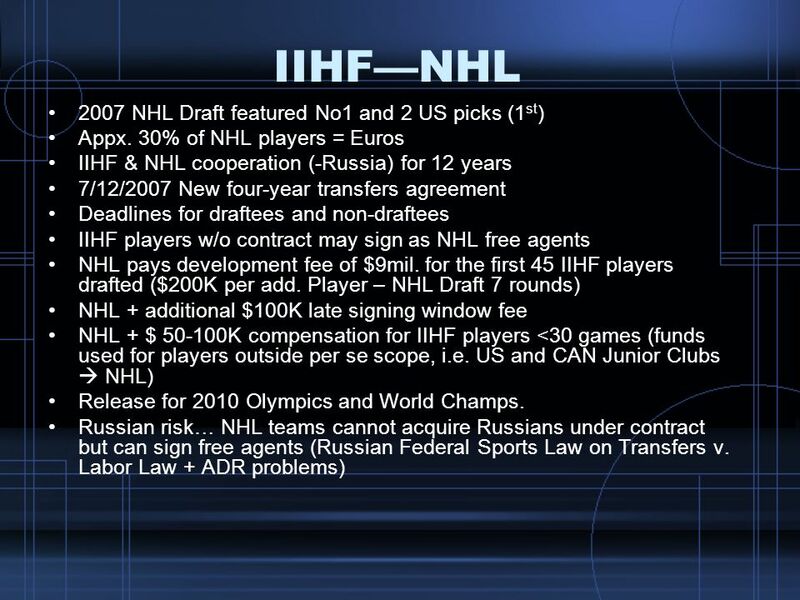 30% of NHL players = Euros IIHF & NHL cooperation (-Russia) for 12 years 7/12/2007 New four-year transfers agreement Deadlines for draftees and non-draftees IIHF players w/o contract may sign as NHL free agents NHL pays development fee of $9mil. for the first 45 IIHF players drafted ($200K per add. Player – NHL Draft 7 rounds) NHL + additional $100K late signing window fee NHL + $ K compensation for IIHF players <30 games (funds used for players outside per se scope, i.e. US and CAN Junior Clubs  NHL) Release for 2010 Olympics and World Champs. 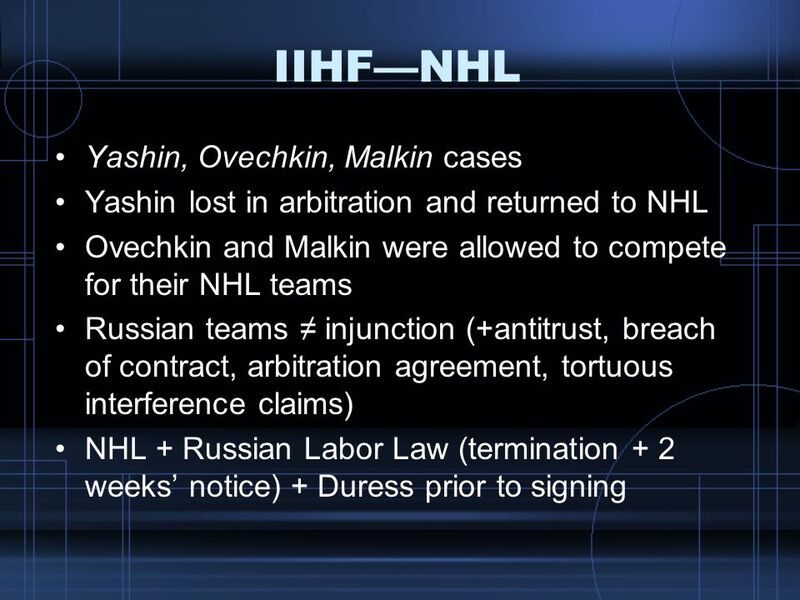 Russian risk… NHL teams cannot acquire Russians under contract but can sign free agents (Russian Federal Sports Law on Transfers v. Labor Law + ADR problems) 6 Nations Ratify Hockey Transfer Deal July 13th, 4:55am ZURICH, Switzerland (AP) - The Czech Republic, Sweden, Finland, Germany, Slovakia, and Switzerland ratified a four-year transfer agreement between the International Ice Hockey Federation member associations and the NHL on Thursday. As with the last four-year agreement, Russia refused to sign. Highlights of the new agreement include: _The deadline for signing players under contract is June 15, for each of the four years. IIHF players subject to NHL draft-related rights who have not yet signed an NHL contract must be signed by the NHL team by June 1 in any year of the current agreement. _Players not under contract to an IIHF team may sign with an NHL team at any time. _The NHL pays a basic development fee of $9 million for the first 45 players, $200,000 per player. If more than 45 IIHF players are signed, the NHL pays an additional $200,000 for each extra player. _Players selected in the NHL draft can be signed until July 15 or until Aug. 15 in the year they are drafted. The NHL pays an additional fee of $100,000 for signing players in the later window between July 16 and Aug. 15. _The IIHF is compensated for players who sign with NHL clubs but who are not on the team's roster for at least 30 games _ including playoffs _ in their first season. Those funds _ between $50,000 and $100,000 depending on draft round _ will be used for IIHF player transfers to the NHL that are outside the agreement, such as when European players are signed from North American junior clubs to the NHL. _The agreement also regulates the release of NHL players to the 2010 Olympics in Vancouver and the world championships. In the NHL-season, 259 players _ 27.4 percent _ were from IIHF affiliated national associations outside of North America, according to the IIHF. 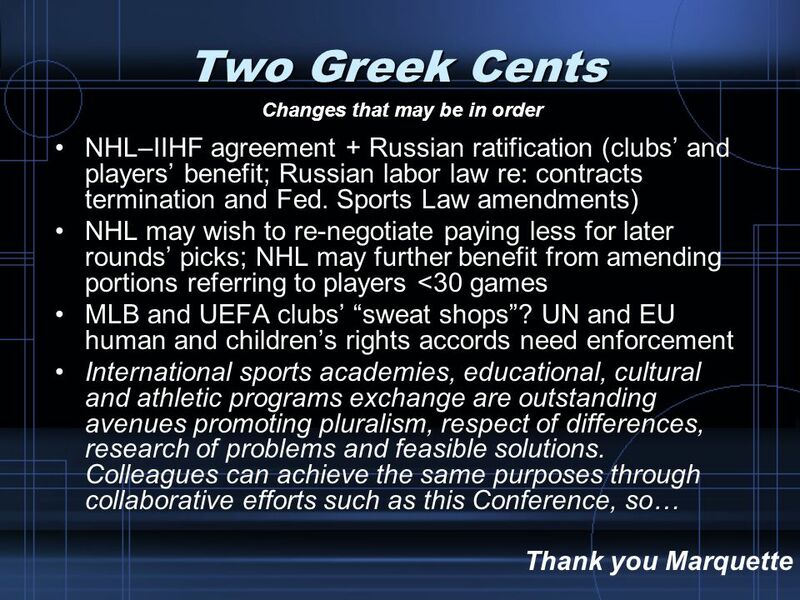 The IIHF and the NHL have had agreements in place for the last 12 years. By refusing to sign, the Russian federation risks losing its players for nothing. NHL clubs are forbidden from acquiring players already under contract in Russia, but can take free agents without paying compensation. Current labor laws in Russia allow players such as Pittsburgh Penguins center Evgeni Malkin to give their club little notice before terminating a contract, freeing them to sign with an NHL team. 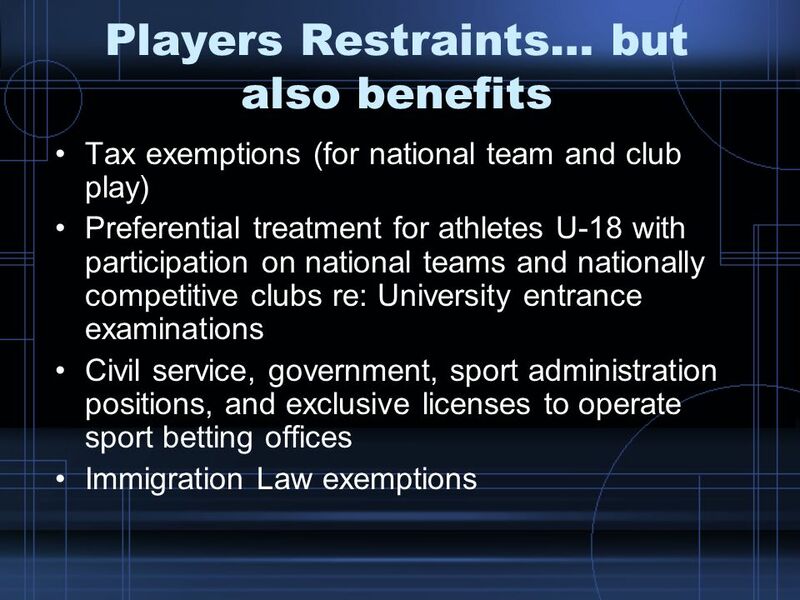 But a new amendment to the law is expected to be implemented soon, preventing players from escaping so quickly. 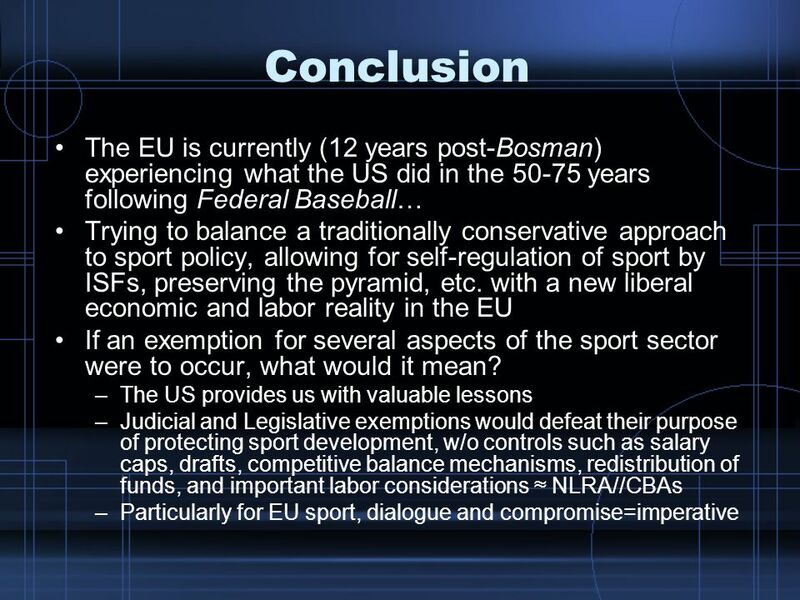 65 Conclusion The EU is currently (12 years post-Bosman) experiencing what the US did in the years following Federal Baseball… Trying to balance a traditionally conservative approach to sport policy, allowing for self-regulation of sport by ISFs, preserving the pyramid, etc. with a new liberal economic and labor reality in the EU If an exemption for several aspects of the sport sector were to occur, what would it mean? 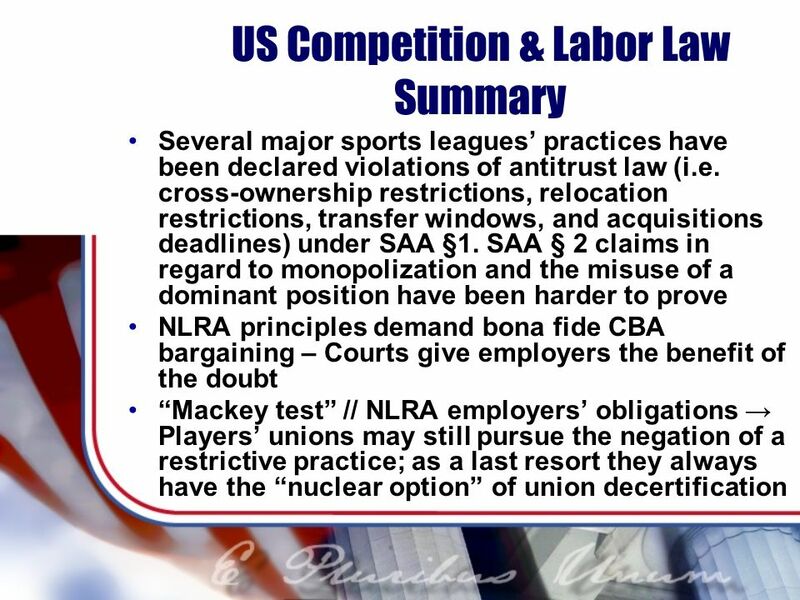 The US provides us with valuable lessons Judicial and Legislative exemptions would defeat their purpose of protecting sport development, w/o controls such as salary caps, drafts, competitive balance mechanisms, redistribution of funds, and important labor considerations ≈ NLRA//CBAs Particularly for EU sport, dialogue and compromise=imperative Much like the advent of Chinese economy in the 21st Century, EU Sport Law in the last 12 years (since Bosman) is witnessing a crash course in ‘industrial revolutionism…’ What took the US more than 75 years to develop (Federal Baseball to free agency to Curt Flood Act to antitrust law labor exemptions) is now challenging EU policy-makers, practitioners, lawyers, and scholars in re: contemporary sport policy, balancing the pyramid and the socio-cultural principles of EU sport with the needs of investors for self-regulation and operations in a financially prudent business sense. 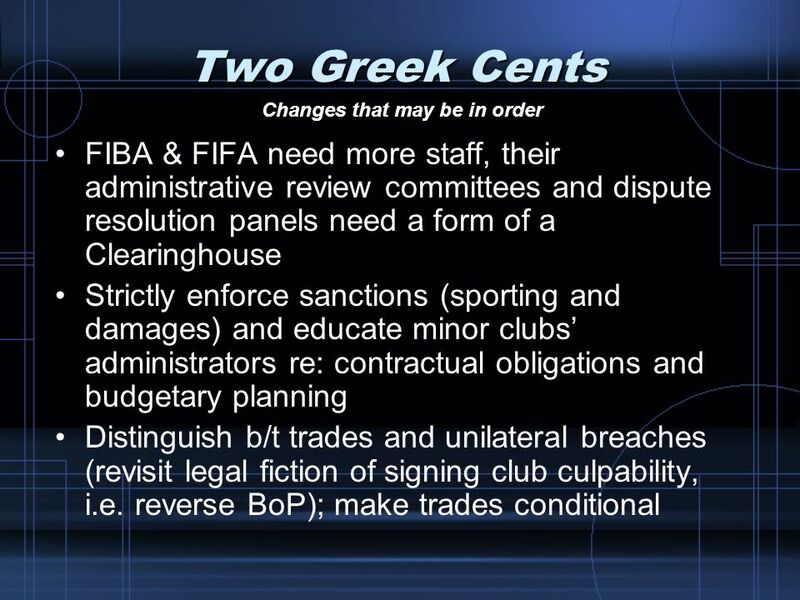 Changes that may be in order FIFA Transfer system “Protected Period” serving its purposes? 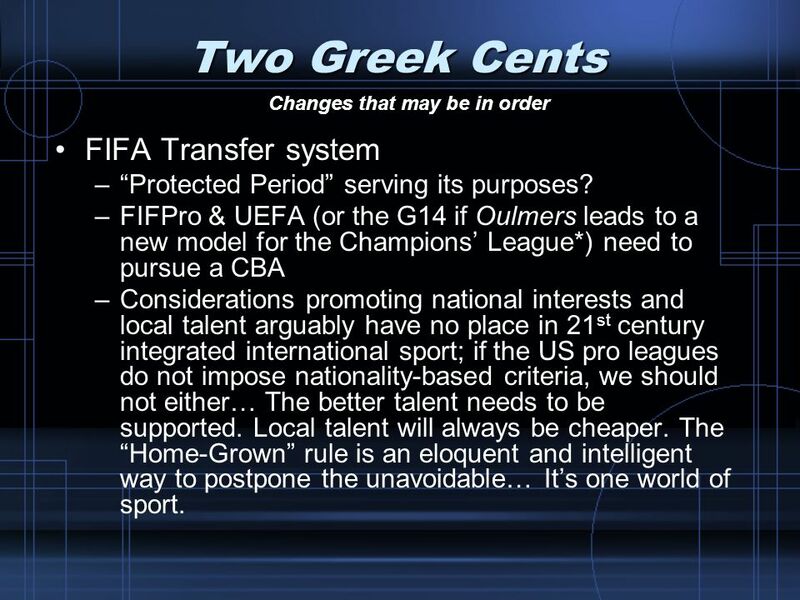 FIFPro & UEFA (or the G14 if Oulmers leads to a new model for the Champions’ League*) need to pursue a CBA Considerations promoting national interests and local talent arguably have no place in 21st century integrated international sport; if the US pro leagues do not impose nationality-based criteria, we should not either… The better talent needs to be supported. Local talent will always be cheaper. The “Home-Grown” rule is an eloquent and intelligent way to postpone the unavoidable… It’s one world of sport. *If that was the case, perhaps it would not be feasible to reach a salary cap, a draft, or a US-type control; what may be possible for the G14 would be to adopt less restrictive means of grassroots development and funding than the ones employed by FIFA at present. It would be in the best clubs’ best interest to invest in the cultivation of youth and young talent skill development through funding to minor clubs supplying the players from their Academies. Coaches’ associations and even the local federations could assist with providing top young players lists, in order to determine somewhat objectively the extent of the transfer fee and the solidarity contributions (// EC’s WP concerns and recommendations). 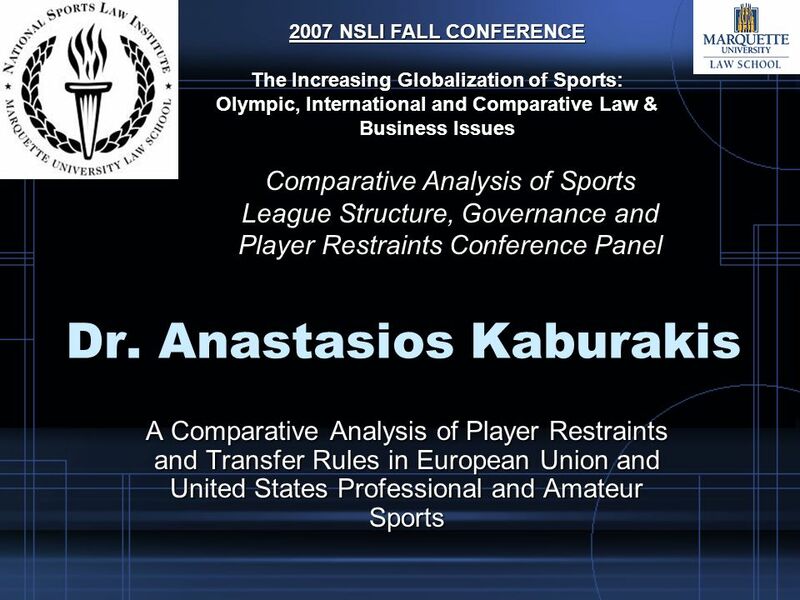 Download ppt "Dr. Anastasios Kaburakis"
The Football Labour Market: Third Party Player Ownership Daniel Geey Solicitor in the Sports Group at Field Fisher Waterhouse LLP 30 October 2012. Proposal for a Directive on credit agreements for consumers Table of contents A. The history of the proposal and the state of play B. Objectives and scope. GREETINGS TO CHARTERED ACCOUNTANTS FOR ICAIS POST QUALIFICATION COURSE VIDEO CONFERENCE FROM HYDERABAD 26 AUGUST 2005. Hamid Dom Reg WS March 04 1 INTRODUCTION THE GATS and DOMESTIC REGULATION. 1 FREE MOVEMENT OF PLAYERS IN THE EUROPEAN UNION MICHELE COLUCCI KULEUVEN,Tutorials Spring semester 2011. 1 FREE MOVEMENT OF PLAYERS IN THE EUROPEAN UNION MICHELE COLUCCI ISDE – IEB MADRID 26 – 27 February 2007.